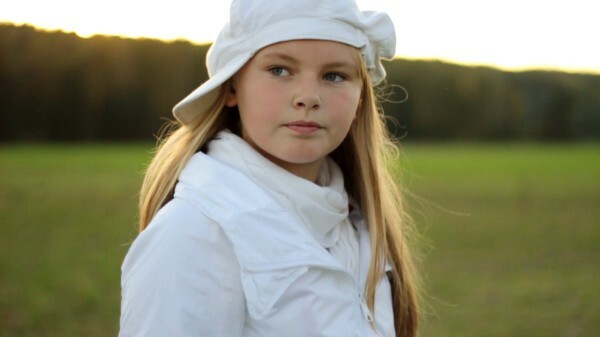 10 years old Paulina SkrabytД— comes from Lithuanian city of Palanga. She began singing at the age of 5 and currently is working with vocal coach is Diana Berzanskiene, rehearsing three times a week. She also plays the flute, piano and wants to learn to play the guitar. Paulina says that she loves to sing everywhere: in shower, in bed, in car. That's not surprising as all her family is singing and her grandfather plays almost all instruments. Paulina took part in two editions of popular TV show of LRT "Talentos ringas" in 2010 and 2011, where she qualified to the finals stage. She also took part in international contest "Baltic Transit" 2010, performing "Strazdas" and "Song for the Father", local contests "Kaunas Talant 2010" where she got I Prize and "Daimuok, ziemuzele" 2011, where she got III Prize. Her recipe of success is simple, "after entering on stage you should think only about your song". She loves to listen to songs performed by Christina Aguilera and Eliza Doolittle She dreams of becoming a professional singer and have her solo concert with Kenny G.
Paulina has been always watching Junior Eurovision and once suggested to her mother to enter it. After she agreed, Paulina wrote herself the draft of the song and showed it to her vocal coach. Professional arrangement for the entry has been done by producer Mindaugas Lapinskis. 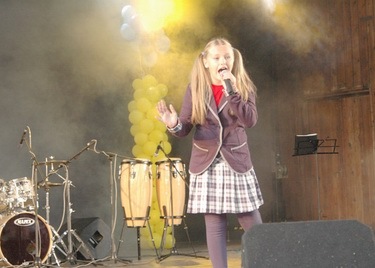 The song was premierred on September 1 at the local Palanga festival "Ilgosios pertraukos". "I write a lot of songs, but this is the first I've shown to the public", Paulina says. 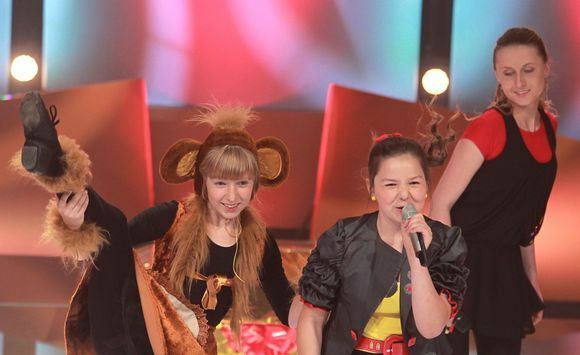 On the Eurovision stage Paulina was joined by members of group "UPS" (Domantas Teleisa, 12, Evelina Zaksauskaite, 12, and Timas Paulicenka, 11) that took part in JESC 2010 preselection finishing 2nd and pianist Arturas Daunys, Grand Prix winner of the international contest Don Chento Jazz in Russia. "UPS" from DND music studio also reached superfinal of LRT show "Mazuju zvaigzdziu ringas" and won 1st place in Latvia at contest "Aprila pileni" 10-Р»РµС‚РЅСЏСЏ РџР°СѓР»РёРЅР° РЎРєСЂР°Р±РёС‚Рµ СЂРѕРґРѕРј РёР· Р»РёС‚РѕРІСЃРєРѕРіРѕ РіРѕСЂРѕРґР° РџР°Р»Р°РЅРіР°. РћРЅР° РЅР°С‡Р°Р»Р° РїРµС‚СЊ РІ РІРѕР·СЂР°СЃС‚Рµ 5 Р»РµС‚ Рё РІ РЅР°СЃС‚РѕСЏС‰РµРµ РІСЂРµРјСЏ СЂР°Р±РѕС‚Р°РµС‚ СЃ РїРµРґР°РіРѕРіРѕРј РїРѕ РІРѕРєР°Р»Сѓ Р”РёР°РЅРѕР№ Р‘РµСЂР¶Р°РЅСЃРєРёРµРЅРµ, СЂРµРїРµС‚РёСЂСѓСЏ С‚СЂРё СЂР°Р·Р° РІ РЅРµРґРµР»СЋ. РћРЅР° РёРіСЂР°РµС‚ РЅР° С„Р»РµР№С‚Рµ, С„РѕСЂС‚РµРїРёР°РЅРѕ, Рё С…РѕС‡РµС‚ РЅР°СѓС‡РёС‚СЊСЃСЏ РёРіСЂРµ РЅР° РіРёС‚Р°СЂРµ. РџР°СѓР»РёРЅР° РіРѕРІРѕСЂРёС‚, С‡С‚Рѕ РѕРЅР° Р»СЋР±РёС‚ РїРµС‚СЊ РІРµР·РґРµ: РІ РґСѓС€Рµ, РІ РїРѕСЃС‚РµР»Рё, РІ РјР°С€РёРЅРµ. Р­С‚Рѕ РЅРµ СѓРґРёРІРёС‚РµР»СЊРЅРѕ, РїРѕС‚РѕРјСѓ С‡С‚Рѕ Сѓ РЅРµРµ РїРѕРµС‚ РІСЃСЏ СЃРµРјСЊСЏ, Р° РґРµРґСѓС€РєР° РµС‰Рµ Рё РёРіСЂР°РµС‚ РїРѕС‡С‚Рё РЅР° РІСЃРµС… РёРЅСЃС‚СЂСѓРјРµРЅС‚Р°С…. РџР°СѓР»РёРЅР° РїСЂРёРЅРёРјР°Р»Р° СѓС‡Р°СЃС‚РёРµ РІ РґРІСѓС… РІС‹РїСѓСЃРєР°С… РїРѕРїСѓР»СЏСЂРЅРѕРіРѕ С‚РµР»РµС€РѕСѓ Р»РёС‚РѕРІСЃРєРѕРіРѕ С‚РµР»РµРІРёРґРµРЅРёСЏ "Talentos ringas" РІ 2010 Рё 2011, РєРѕРіРґР° РѕРЅР° РІС‹С€Р»Р° РІ С„РёРЅР°Р»СЊРЅСѓСЋ СЃС‚Р°РґРёСЋ. РћРЅР° С‚Р°РєР¶Рµ РїСЂРёРЅРёРјР°Р»Р° СѓС‡Р°СЃС‚РёРµ РІ РјРµР¶РґСѓРЅР°СЂРѕРґРЅРѕРј РєРѕРЅРєСѓСЂСЃРµ "Baltic Transit" 2010, РёСЃРїРѕР»РЅРёРІ "Strazdas" Рё "Song for the Father", РјРµСЃС‚РЅС‹С… РєРѕРЅРєСѓСЂСЃР°С… "Kaunas Talant 2010", РіРґРµ Р·Р°РІРѕРµРІР°Р»Р° I РџСЂРµРјРёСЋ Рё "Daimuok, ziemuzele" 2011, РіРґРµ СЃС‚Р°Р»Р° РѕР±Р»Р°РґР°С‚РµР»СЊРЅРёС†РµР№ III РџСЂРµРјРёРё. Р•Рµ СЂРµС†РµРїС‚ СѓСЃРїРµС…Р° РїСЂРѕСЃС‚ - "РїРѕСЃР»Рµ РІС‹С…РѕРґР° РЅР° СЃС†РµРЅСѓ РЅСѓР¶РЅРѕ РґСѓРјР°С‚СЊ С‚РѕР»СЊРєРѕ Рѕ СЃРІРѕРµР№ РїРµСЃРЅРµ". Р•Р№ РЅСЂР°РІРёС‚СЃСЏ СЃР»СѓС€Р°С‚СЊ РїРµСЃРЅРё РљСЂРёСЃС‚РёРЅС‹ РђРіРёР»РµСЂС‹ Рё Р­Р»РёР·С‹ Р”СѓР»РёС‚С‚Р». РћРЅР° РјРµС‡С‚Р°РµС‚ СЃС‚Р°С‚СЊ РїСЂРѕС„РµСЃСЃРёРѕРЅР°Р»СЊРЅРѕР№ РїРµРІРёС†РµР№ Рё РїСЂРѕРІРµСЃС‚Рё РїРµСЂРІС‹Р№ СЃРѕР»СЊРЅС‹Р№ РєРѕРЅС†РµСЂС‚ РІРјРµСЃС‚Рµ СЃ Kenny G.
РџР°СѓР»РёРЅР° РІСЃРµРіРґР° СЃР»РµРґРёР»Р° Р·Р° Р”РµС‚СЃРєРёРј Р•РІСЂРѕРІРёРґРµРЅРёРµРј Рё РѕРґРЅР°Р¶РґС‹ РїСЂРµРґР»РѕР¶РёР»Р° РјР°РјРµ РїСЂРёРЅСЏС‚СЊ РІ РЅРµРј СѓС‡Р°СЃС‚РёРµ. РџРѕСЃР»Рµ РїРѕР»СѓС‡РµРЅРёСЏ СЃРѕРіР»Р°СЃРёСЏ, РџР°СѓР»РёРЅР° СЃР°РјР° РЅР°РїРёСЃР°Р»Р° С‡РµСЂРЅРѕРІРёРє СЃРІРѕРµР№ РїРµСЃРЅРё Рё РїРѕРєР°Р·Р°Р»Р° РµРµ СЃРІРѕРµРјСѓ РїРµРґР°РіРѕРіСѓ. РџСЂРѕС„РµСЃСЃРёРѕРЅР°Р»СЊРЅСѓСЋ Р°СЂР°РЅР¶РёСЂРѕРІРєСѓ РїСЂРёРіРѕС‚РѕРІРёР» РїСЂРѕРґСЋСЃРµСЂ РњРёРЅРґР°СѓРіР°СЃ Р›Р°РїРёРЅСЃРєРёСЃ. РџСЂРµРјСЊРµСЂР° РїРµСЃРЅРё РїСЂРѕС€Р»Р° 1РіРѕ СЃРµРЅС‚СЏР±СЂСЏ РЅР° РјРµСЃС‚РЅРѕРј С„РµСЃС‚РёРІР°Р»Рµ "Ilgosios pertraukos" РІ РџР°Р»Р°РЅРіРµ. "РЇ РїРёС€Сѓ РјРЅРѕРіРѕ РїРµСЃРµРЅ, РЅРѕ СЌС‚Рѕ РїРµСЂРІР°СЏ - РєРѕС‚РѕСЂСѓСЋ СЏ РїРѕРєР°Р·Р°Р»Р° РїСѓР±Р»РёС‡РЅРѕ", РіРѕРІРѕСЂРёС‚ РџР°СѓР»РёРЅР°. РќР° СЃС†РµРЅРµ Р•РІСЂРѕРІРёРґРµРЅРёСЏ СЃ РџР°СѓР»РёРЅРѕР№ РІРјРµСЃС‚Рµ РІС‹СЃС‚СѓРїР°СЋС‚ СЃРѕР»РёСЃС‚С‹ РіСЂСѓРїРїС‹ "UPS" (Р”РѕРјР°РЅС‚Р°СЃ, 12, Р­РІРµР»РёРЅР°, 12, РўРёРјР°СЃ, 11), РїСЂРёРЅРёРјР°РІС€РµР№ СѓС‡Р°СЃС‚РёРµ РІ РѕС‚Р±РѕСЂРµ РЅР° Р”РµС‚СЃРєРѕРµ Р•РІСЂРѕРІРёРґРµРЅРёРµ 2010 Рё РїРёР°РЅРёСЃС‚ РђСЂС‚СѓСЂР°СЃ Р”Р°СѓРЅРёСЃ, РѕР±Р»Р°РґР°С‚РµР»СЊ Р“СЂР°РЅ-РџСЂРё РЅР° РјРµР¶РґСѓРЅР°СЂРѕРґРЅРѕРј РєРѕРЅРєСѓСЂСЃРµ Don Chento Jazz РІ Р РѕСЃСЃРёРё. "UPS" РёР· СЃС‚СѓРґРёРё DND С‚Р°РєР¶Рµ РІС‹С…РѕРґРёР»Рё РІ С„РёРЅР°Р» С€РѕСѓ "Mazuju zvaigzdziu ringas" Рё Р·Р°РІРѕРµРІР°Р»Рё 1Рµ РјРµСЃС‚Рѕ РІ Р›Р°С‚РІРёРё РЅР° РєРѕРЅРєСѓСЂСЃРµ "Aprila pileni"
do I feel so strange. And to hide in my mind. - Hello, Paulina, and first of all our congratulations for winning Lithuanian national selection! What were your first thoughts when you realized you are the winner of the competition? - I am Paulina from Lithuanian amber coast and I love music and people. - I always dreamed to participate in the Junior Eurovision Song Contest. Since I live in a wonderful Lithuanian resort Palanga, I love to spend my leisure time by the sea. Once I was lying at the sea coast and watched the sky and clouds up there. Those who like romance know that it is the most fantastic thing in the World. That is how the songвЂ™s words were born and all the accords came to my mind. - What is its message of your song? - My song is about friendship, love and childhood dreams. I wish that everyone who hears my song would become a better person and that grownups would remember what itвЂ™s like to dream, because dreaming is so amazing. My vocal coach is expert Diana Berzanskiene, choreographer of the presentation вЂ“ sport dance professional of Lithuania, dance coach, participant of Eurovision Dance Contest - Gintaras Svistunavicius. - Can you also introduce the backing singers and pianist, who accompanied you on stage? - I am very happy that for the Junior Eurovision Song Contest we brought together our nice team. Arturas Daunys accompanies me on the piano; back-vocalists are trio from pop group вЂњUPSвЂќ: Evelina Zaksauskaite, Timas Pauliucenka and Domantas Teleisa. They are wonderful performers, winners of international contests. 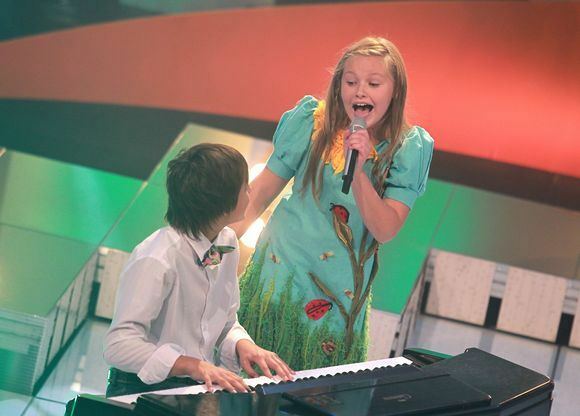 I hope we will keep up our music together after the Junior Eurovision. - How will you visually present your entry on stage? Will it be a similar performance as during Lithuanian Vaiku Eurovizija final, or is there a plan to add any visual effects for the international audience to better understand your song? - The performance, I think, will be more interesting, however I will not give away all secrets, you will see it at the final concert in Yerevan! Though I can promise that we will be whole-hearted and stay ourselves. 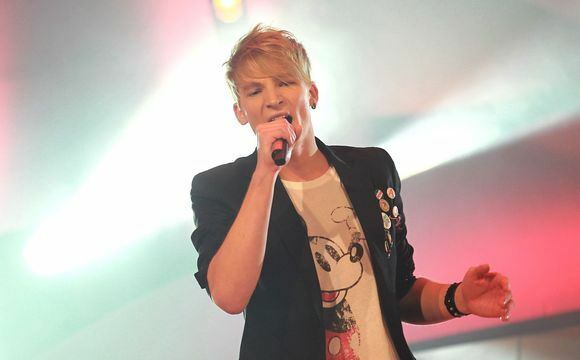 - We work very seriously; I rehearse with my vocal and choreography coaches. Since I live by the sea, I often walk at the seacoast and it is the best rest for me. - Can you tell us how does your basic day look like? What activities do you usually have? - My day starts from saying good morning to my family, my dog and my cat Tina. Then I hurry to the school, vocal rehearsals and my music school. At weekends I ride a bike and roller skate with pleasure, besides my favourite walks by the sea. - Would it be difficult for you to combine contest preparation with studies in school? - Definitely not, because I perform quite well at school and cannot imagine my life without singing. - I cannot point out any favourite subjects, because I like all of them. I learn native language, history, IT with a big pleasure. I like art and being active I also like physical culture. But obviously I like music lessons most! - How youвЂ™ve been met in your home town after national final victory? What was reaction of your friends, in your school? - Everybody was sincerely glad of my winning and when I returned home there was a surprise of my relatives with balloons, flowers and a cake! My friends, teachers and classmates also congratulated me. Everybody knows how important music is for me, how important singing is for me, and that is why all of them keep their fingers crossed. And I am happy for that! - How are your relatives, family supporting you? - For the fact that my present life is music I should thank my mother and father. They were the first to notice I have an ear for music. Mother told me when I was a child and could not yet speak, however I could perfectly repeat sounds of advertisements on TV. Little by little I started to learn different secrets of music and singing. My parents and relatives support me a lot вЂ“ accompany me not only to contests, festivals, but also keep their fingers crossed when they see me on TV. - Do you have some favourite entries from the past years of the JESC? - The winners of JESC 2004 Maria Isabel, 2006 Tolmachevy sisters and 2008 - Bzikebi. - Are you interested to find who will represent other countries in competition; will you listen to the other competing entries prior to departure to Yerevan? - I have listened to all countries singersвЂ™ performances and even can sing some melodies. Surely there are excellent songs. Hopefully I will be able to become friends with the others from different European countries. - What is your aim for the contest? Are you going to win it, or simply have good time and make new friends? - IвЂ™m really happy that I will get to participate in such a huge festival, that I will meet new people and find new friends and that I will sing on the biggest stage yet. IвЂ™m also really eager to see the city of Yerevan. I think that participating in this contest will give me more confidence in myself. - Do you like contests and to compete in general? What is most memorable festival you took part in besides Eurovision? - Surely, you can always compare yourself with others, what is your and their singing level now. I like different international contests and TV musical projects. I am so happy being able to participate in seven Lithuanian and international song contests during last few years вЂ“ and more than this вЂ“ I managed to win first places in a half of them. The festival вЂњBaltic talentsвЂќ in Jurmala especially stuck to my memory, I also gained an amazing experience in the international competition вЂњThe Baltic transitвЂќ. - There are both original songs and foreign authorsвЂ™ songs. - I like different music вЂ“ Pop, Soul. I like Lithuanian singers such as Jurga Seduikyte, Saules kliosas. If we speak about foreign music then I listen to Christina Aguilera and Biza Doolittle songs. - I plan to live the same way as I lived before the Eurovision contest вЂ“ I will continue my studies at the music school, I will learn vocal and will participate in competitions and TV projects. I still have much time for dreams, but I believe that I will become a professional singer in future. Though they say that you should not say your dreams loud in order they come true, but I will tell you the secret вЂ“ I dream to appear on one stage with a masterful sax musician Kenny G. вЂ“ He is such a talented musician! - Thanks for the interview and see you in Yerevan! - РџСЂРёРІРµС‚, РџР°СѓР»РёРЅР°, РїСЂРµР¶РґРµ РІСЃРµРіРѕ РїРѕР·РґСЂР°РІР»РµРЅРёСЏ СЃ С‚РµРј, С‡С‚Рѕ С‚С‹ Р±С‹Р»Р° РІС‹Р±СЂР°РЅР° РІ РєР°С‡РµСЃС‚РІРµ РїСЂРµРґСЃС‚Р°РІРёС‚РµР»СЏ Р›РёС‚РІС‹ РЅР° Р”РµС‚СЃРєРѕРј Р•РІСЂРѕРІРёРґРµРЅРёРё 2011. РљР°РєРёРјРё Р±С‹Р»Рё С‚РІРѕРё РїРµСЂРІС‹Рµ РјС‹СЃР»Рё, РєРѕРіРґР° С‚С‹ РїРѕРЅСЏР»Р°, С‡С‚Рѕ СЃС‚Р°Р»Р° РїРѕР±РµРґРёС‚РµР»СЊРЅРёС†РµР№ РєРѕРЅРєСѓСЂСЃР°? - РЇ Р±С‹Р»Р° РїСЂРѕСЃС‚Рѕ РЅР° СЃРµРґСЊРјРѕРј РЅРµР±Рµ РѕС‚ СЃС‡Р°СЃС‚СЊСЏ Рё РЅР°С‡Р°Р»Р° РїСЂС‹РіР°С‚СЊ РѕС‚ СЂР°РґРѕСЃС‚Рё, РєРѕРіРґР° СѓР·РЅР°Р»Р°, С‡С‚Рѕ РїРѕР±РµРґРёР»Р° РЅР° РєРѕРЅРєСѓСЂСЃРµ. РњРЅРµ Р±С‹Р»Рѕ С‚Р°Рє СЂР°РґРѕСЃС‚РЅРѕ, С‡С‚Рѕ СЏ РіРѕС‚РѕРІР° Р±С‹Р»Р° РїРѕС†РµР»РѕРІР°С‚СЊ Рё РѕР±РЅСЏС‚СЊ РєР°Р¶РґРѕРіРѕ. РҐРѕС‚СЏ РІ РіР»СѓР±РёРЅРµ РґСѓС€Рё СЏ РѕС‡РµРЅСЊ С…РѕС‚РµР»Р° РїРѕР±РµРґРёС‚СЊ, РЅРѕ Р±С‹Р»Рѕ РѕС‡РµРЅСЊ СЃР»РѕР¶РЅРѕ РїРѕРІРµСЂРёС‚СЊ РІ С‚Рѕ, С‡С‚Рѕ РјРѕСЏ РјРµС‡С‚Р° РјРѕР¶РµС‚ СЃР±С‹С‚СЊСЃСЏ. РќРµ Р·СЂСЏ РіРѕРІРѕСЂСЏС‚: "Р’Р°Р¶РЅРѕ Р¶РµР»Р°С‚СЊ, СЃС‚Р°СЂР°С‚СЊСЃСЏ Рё РІРµСЂРёС‚СЊ!". - РџСЂРµРґСЃС‚Р°РІСЊ РЅР°Рј СЃРµР±СЏ РІ РѕРґРЅРѕРј РїСЂРµРґР»РѕР¶РµРЅРёРё? - РЇ РџР°СѓР»РёРЅР° СЃ Р»РёС‚РѕРІСЃРєРѕРіРѕ СЏРЅС‚Р°СЂРЅРѕРіРѕ Р±РµСЂРµРіР° Рё СЏ Р»СЋР±Р»СЋ РјСѓР·С‹РєСѓ Рё Р»СЋРґРµР№. - Р Р°СЃСЃРєР°Р¶Рё РЅР°Рј Рѕ С‚РѕРј, РєР°Рє СЃРѕР·РґР°РІР°Р»Р°СЃСЊ С‚РІРѕСЏ РїРµСЃРЅСЏ? - РЇ РІСЃРµРіРґР° РјРµС‡С‚Р°Р»Р° РїСЂРёРЅСЏС‚СЊ СѓС‡Р°СЃС‚РёРµ РІ РєРѕРЅРєСѓСЂСЃРµ Р”РµС‚СЃРєРѕРµ Р•РІСЂРѕРІРёРґРµРЅРёРµ. РџРѕСЃРєРѕР»СЊРєСѓ СЏ Р¶РёРІСѓ РІ РїРѕС‚СЂСЏСЃР°СЋС‰РµРј Р»РёС‚РѕРІСЃРєРѕРј РєСѓСЂРѕСЂС‚РЅРѕРј РіРѕСЂРѕРґРµ РџР°Р»Р°РЅРіРµ, СЏ Р»СЋР±Р»СЋ РїСЂРѕРІРѕРґРёС‚СЊ РІСЂРµРјСЏ СЃ РґСЂСѓР·СЊСЏРјРё РЅР° РјРѕСЂРµ. РћРґРЅР°Р¶РґС‹ СЏ С‚Р°Рє Р»РµР¶Р°Р»Р° РЅР° Р±РµСЂРµРіСѓ РјРѕСЂСЏ Рё СЃРјРѕС‚СЂРµР»Р° РЅР° РЅРµР±Рѕ Рё РѕР±Р»Р°РєР° РЅР° РЅРµРј. Р РѕРјР°РЅС‚РёРєРё РїРѕР№РјСѓС‚, С‡С‚Рѕ СЌС‚Рѕ СЃР°РјРѕРµ РїСЂРµРєСЂР°СЃРЅРѕРµ Р·СЂРµР»РёС‰Рµ РІ РјРёСЂРµ. Р� РІРѕС‚ С‚РѕРіРґР° Сѓ РјРµРЅСЏ СЂРѕРґРёР»РёСЃСЊ РІ РіРѕР»РѕРІРµ СЃР»РѕРІР° РїРµСЃРЅРё Рё Р°РєРєРѕСЂРґС‹. - Р’ С‡РµРј РїРѕСЃС‹Р» С‚РІРѕРµР№ РїРµСЃРЅРё? - РњРѕСЏ РїРµСЃРЅСЏ Рѕ РґСЂСѓР¶Р±Рµ, Р»СЋР±РІРё Рё РґРµС‚СЃРєРёС… РјРµС‡С‚Р°С…. РЇ Р±С‹ С…РѕС‚РµР»Р°, С‡С‚РѕР±С‹ РєР°Р¶РґС‹Р№, РєС‚Рѕ СѓСЃР»С‹С€РёС‚ РјРѕСЋ РїРµСЃРЅСЋ СЃС‚Р°Р» Р»СѓС‡С€Рµ, Рё С‡С‚РѕР±С‹ РІР·СЂРѕСЃР»С‹Рµ РїРѕРјРЅРёР»Рё Рѕ С‚РѕРј, РєР°Рє СЌС‚Рѕ - РјРµС‡С‚Р°С‚СЊ, РїРѕС‚РѕРјСѓ С‡С‚Рѕ РјРµС‡С‚Р°С‚СЊ - СЌС‚Рѕ РїРѕС‚СЂСЏСЃР°СЋС‰Рµ. - РљС‚Рѕ СЂР°Р±РѕС‚Р°РµС‚ СЃ С‚РѕР±РѕР№ РІ РєР°С‡РµСЃС‚РІРµ РїРµРґР°РіРѕРіР° РїРѕ РІРѕРєР°Р»Сѓ Рё С…РѕСЂРµРѕРіСЂР°С„Р°? - РњРѕР№ РІРѕРєР°Р»СЊРЅС‹Р№ РїРµРґР°РіРѕРі - СЌС‚Рѕ Р”РёР°РЅР° Р‘РµСЂР¶Р°РЅСЃРєРёРµРЅРµ, Р° С…РѕСЂРµРѕРіСЂР°С„ РЅР°С€РµРіРѕ РІС‹СЃС‚СѓРїР»РµРЅРёСЏ - РїСЂРѕС„РµСЃСЃРёРѕРЅР°Р» РІ С‚Р°РЅС†РµРІР°Р»СЊРЅРѕРј СЃРїРѕСЂС‚Рµ, СѓС‡Р°СЃС‚РЅРёРє РўР°РЅС†РµРІР°Р»СЊРЅРѕРіРѕ Р•РІСЂРѕРІРёРґРµРЅРёСЏ Р“РёРЅС‚Р°СЂР°СЃ РЎРІРёСЃС‚СѓРЅСЏРІРёС‡СѓСЃ. - РњРѕР¶РµС€СЊ РїСЂРµРґСЃС‚Р°РІРёС‚СЊ СЃРІРѕСЋ СЃС†РµРЅРёС‡РµСЃРєСѓСЋ РєРѕРјР°РЅРґСѓ? - РЇ РѕС‡РµРЅСЊ СЂР°РґР° С‚РѕРјСѓ, С‡С‚Рѕ РґР»СЏ СѓС‡Р°СЃС‚РёСЏ РІ Р”РµС‚СЃРєРѕРј Р•РІСЂРѕРІРёРґРµРЅРёРё РЅР°Рј СѓРґР°Р»РѕСЃСЊ СЃРѕР±СЂР°С‚СЊ РѕС‚Р»РёС‡РЅСѓСЋ РєРѕРјР°РЅРґСѓ. РђСЂС‚СѓСЂР°СЃ Р”Р°СѓРЅРёСЃ РІС‹СЃС‚СѓРїР°РµС‚ СЃРѕ РјРЅРѕР№ РЅР° С„РѕСЂС‚РµРїРёР°РЅРѕ, Рё РјРѕРё Р±СЌРє-РІРѕРєР°Р»РёСЃС‚С‹ РёР· РіСЂСѓРїРїС‹ "UPS": Р­РІРµР»РёРЅР° Р—Р°РєС€Р°СѓСЃРєР°Р№С‚Рµ, РўРёРјР°СЃ РџР°СѓР»РёС‡РµРЅРєР° Рё Р”РѕРјР°РЅС‚Р°СЃ РўРµР»РµР№С€Р°. РћРЅРё РѕС‚Р»РёС‡РЅС‹Рµ РёСЃРїРѕР»РЅРёС‚РµР»Рё, РїРѕР±РµРґРёС‚РµР»Рё СЂСЏРґР° РјРµР¶РґСѓРЅР°СЂРѕРґРЅС‹С… РєРѕРЅРєСѓСЂСЃРѕРІ. РЇ РЅР°РґРµСЋСЃСЊ, С‡С‚Рѕ РјС‹ РїСЂРѕРґРѕР»Р¶РёРј СЂР°Р±РѕС‚Р°С‚СЊ РІРјРµСЃС‚Рµ Рё РїРѕСЃР»Рµ Р”РµС‚СЃРєРѕРіРѕ Р•РІСЂРѕРІРёРґРµРЅРёСЏ. - РљР°Рє С‚С‹ РїСЂРµРґСЃС‚Р°РІРёС€СЊ СЃРІРѕСЋ РїРµСЃРЅСЋ РЅР° СЃС†РµРЅРµ? Р‘СѓРґРµС‚ Р»Рё РЅРѕРјРµСЂ РїРѕС…РѕР¶ РЅР° С‚РѕС‚, РєРѕС‚РѕСЂС‹Р№ РјС‹ РІРёРґРµР»Рё РЅР° Р»РёС‚РѕРІСЃРєРѕРј РЅР°С†РёРѕРЅР°Р»СЊРЅРѕРј РѕС‚Р±РѕСЂРµ, РёР»Рё Р¶Рµ РїР»Р°РЅРёСЂСѓРµС‚СЃСЏ РґРѕР±Р°РІРёС‚СЊ РєР°РєРёРµ-С‚Рѕ РІРёР·СѓР°Р»СЊРЅС‹Рµ СЌС„С„РµРєС‚С‹, С‡С‚РѕР±С‹ Р·Р°СЂСѓР±РµР¶РЅР°СЏ Р°СѓРґРёС‚РѕСЂРёСЏ Р»СѓС‡С€Рµ РїРѕРЅСЏР»Р° РІР°С€Сѓ РїРµСЃРЅСЋ? - РЇ РґСѓРјР°СЋ, С‡С‚Рѕ РІС‹СЃС‚СѓРїР»РµРЅРёРµ Р±СѓРґРµС‚ Р±РѕР»РµРµ РёРЅС‚РµСЂРµСЃРЅС‹Рј, РѕРґРЅР°РєРѕ, СЏ РїРѕРєР° РЅРµ Р±СѓРґСѓ РІС‹РґР°РІР°С‚СЊ РІСЃРµС… СЃРµРєСЂРµС‚РѕРІ, РІС‹ СЃРјРѕР¶РµС‚Рµ РµРіРѕ СѓРІРёРґРµС‚СЊ РІРѕ РІСЂРµРјСЏ С„РёРЅР°Р»Р° РІ Р•СЂРµРІР°РЅРµ! РќРѕ СЏ РјРѕРіСѓ РїРѕРѕР±РµС‰Р°С‚СЊ, С‡С‚Рѕ РѕРЅРѕ Р±СѓРґРµС‚ РёСЃРєСЂРµРЅРЅРёРј Рё РјС‹ Р±СѓРґРµРј РѕСЃС‚Р°РІР°С‚СЊСЃСЏ СЃР°РјРё СЃРѕР±РѕР№. - РљР°РєРѕР№ Сѓ С‚РµР±СЏ РїР»Р°РЅ РїРѕРґРіРѕС‚РѕРІРєРё Рє РєРѕРЅРєСѓСЂСЃСѓ? - РњС‹ РѕС‡РµРЅСЊ СЃРµСЂСЊРµР·РЅРѕ СЂР°Р±РѕС‚Р°РµРј; СЏ СЂРµРїРµС‚РёСЂСѓСЋ СЃРѕ СЃРІРѕРёРјРё РїРµРґР°РіРѕРіР°РјРё РїРѕ РІРѕРєР°Р»Сѓ Рё С…РѕСЂРµРѕРіСЂР°С„РёРё. РџРѕСЃРєРѕР»СЊРєСѓ СЏ Р¶РёРІСѓ СЂСЏРґРѕРј СЃ РјРѕСЂРµРј, СЏ С‡Р°СЃС‚РЅРѕ РіСѓР»СЏСЋ РїРѕ Р±РµСЂРµРіСѓ, Рё РґР»СЏ РјРµРЅСЏ СЌС‚Рѕ Р»СѓС‡С€РёР№ РѕС‚РґС‹С…. - Р Р°СЃСЃРєР°Р¶Рё РЅР°Рј, РєР°Рє РІС‹РіР»СЏРґРёС‚ С‚РІРѕР№ РѕР±С‹С‡РЅС‹Р№ РґРµРЅСЊ, С‡РµРј С‚С‹ Р·Р°РЅРёРјР°РµС€СЊСЃСЏ? - РќР°С‡РёРЅР°РµС‚СЃСЏ РѕРЅ СЃ С‚РѕРіРѕ, С‡С‚Рѕ СЏ Р¶РµР»Р°СЋ РґРѕР±СЂРѕРіРѕ СѓС‚СЂР° РјРѕРµР№ СЃРµРјСЊРµ, РјРѕРµР№ СЃРѕР±Р°РєРµ Рё РєРѕС€РєРµ РўРёРЅРµ. РџРѕС‚РѕРј СЏ СЃРїРµС€Сѓ РІ С€РєРѕР»Сѓ, РЅР° РІРѕРєР°Р»СЊРЅС‹Рµ СЂРµРїРµС‚РёС†РёРё Рё РІ РјСѓР·С‹РєР°Р»СЊРЅСѓСЋ С€РєРѕР»Сѓ. РџРѕ РІС‹С…РѕРґРЅС‹Рј СЏ СЃ СѓРґРѕРІРѕР»СЊСЃС‚РІРёРµРј РєР°С‚Р°СЋСЃСЊ РЅР° РІРµР»РѕСЃРёРїРµРґРµ РёР»Рё РЅР° СЂРѕР»РёРєР°С…, РїРѕРјРёРјРѕ РјРѕРёС… Р»СЋР±РёРјС‹С… РїСЂРѕРіСѓР»РѕРє РІРѕР·Р»Рµ РјРѕСЂСЏ. - Р”Р»СЏ С‚РµР±СЏ СЃР»РѕР¶РЅРѕ СЃРѕРІРјРµС‰Р°С‚СЊ РїРѕРґРіРѕС‚РѕРІРєСѓ Рє РєРѕРЅРєСѓСЂСЃСѓ СЃ Р·Р°РЅСЏС‚РёСЏРјРё РІ С€РєРѕР»Рµ? - РЎРѕРІСЃРµРј РЅРµС‚, РїРѕС‚РѕРјСѓ С‡С‚Рѕ СЏ РґРѕСЃС‚Р°С‚РѕС‡РЅРѕ С…РѕСЂРѕС€Рѕ СѓС‡СѓСЃСЊ РІ С€РєРѕР»Рµ Рё РЅРµ РјРѕРіСѓ РїСЂРµРґСЃС‚Р°РІРёС‚СЊ СЃРІРѕСЋ Р¶РёР·РЅСЊ Р±РµР· РїРµРЅРёСЏ. - РљР°РєРёРµ Сѓ С‚РµР±СЏ Р»СЋР±РёРјС‹Рµ С€РєРѕР»СЊРЅС‹Рµ РїСЂРµРґРјРµС‚С‹? - РЇ РґР°Р¶Рµ РЅРµ РјРѕРіСѓ РЅР°Р·РІР°С‚СЊ РєР°РєРёРµ-С‚Рѕ, РїРѕС‚РѕРјСѓ С‡С‚Рѕ СЏ Р»СЋР±Р»СЋ РёС… РІСЃРµ. РЇ СѓС‡Сѓ СЂРѕРґРЅРѕР№ СЏР·С‹Рє, РёСЃС‚РѕСЂРёСЋ, РёРЅС„РѕСЂРјР°С‚РёРєСѓ СЃ Р±РѕР»СЊС€РёРј СѓРґРѕРІРѕР»СЊСЃС‚РІРёРµРј. РњРЅРµ РѕС‡РµРЅСЊ РЅСЂР°РІРёС‚СЃСЏ РёР·РѕР±СЂР°Р·РёС‚РµР»СЊРЅРѕРµ РёСЃРєСѓСЃСЃС‚РІРѕ, Рё РїРѕСЃРєРѕР»СЊРєСѓ СЏ РІРµРґСѓ Р°РєС‚РёРІРЅС‹Р№ РѕР±СЂР°Р· Р¶РёР·РЅРё, С‚Рѕ Рё С„РёР·РєСѓР»СЊС‚СѓСЂР°. РќРѕ РєРѕРЅРµС‡РЅРѕ, РЅР°РІРµСЂРЅРѕРµ Р±РѕР»СЊС€Рµ РІСЃРµРіРѕ СЏ Р»СЋР±Р»СЋ СѓСЂРѕРєРё РјСѓР·С‹РєРё! - РљР°Рє С‚РµР±СЏ РІСЃС‚СЂРµС‚РёР»Рё РІ СЂРѕРґРЅРѕРј РіРѕСЂРѕРґРµ РїРѕСЃР»Рµ РїРѕР±РµРґС‹ РЅР° РѕС‚Р±РѕСЂРµ? РљР°РєРѕРІР° Р±С‹Р»Р° СЂРµР°РєС†РёСЏ С‚РІРѕРёС… РґСЂСѓР·РµР№, РІ С‚РІРѕРµР№ С€РєРѕР»Рµ? - Р’СЃРµ Р±С‹Р»Рё РёСЃРєСЂРµРЅРЅРµ СЂР°РґС‹ РјРѕРµР№ РїРѕР±РµРґРµ, Рё РєРѕРіРґР° СЏ РІРµСЂРЅСѓР»Р°СЃСЊ РґРѕРјРѕР№ - РґР»СЏ РјРµРЅСЏ Р±С‹Р» РіРѕС‚РѕРІ СЃСЋСЂРїСЂРёР·, РјРѕРё СЂРѕРґСЃС‚РІРµРЅРЅРёРєРё РІСЃС‚СЂРµС‡Р°Р»Рё РјРµРЅСЏ СЃ РІРѕР·РґСѓС€РЅС‹РјРё С€Р°СЂРёРєР°РјРё, С†РІРµС‚Р°РјРё Рё С‚РѕСЂС‚РѕРј! РњРѕРё РґСЂСѓР·СЊСЏ, СѓС‡РёС‚РµР»СЏ Рё РѕРґРЅРѕРєР»Р°СЃСЃРЅРёРєРё С‚РѕР¶Рµ РїРѕР·РґСЂР°РІРёР»Рё РјРµРЅСЏ. Р’СЃРµ Р·РЅР°СЋС‚, РЅР°СЃРєРѕР»СЊРєРѕ РІР°Р¶РЅР° РґР»СЏ РјРµРЅСЏ РјСѓР·С‹РєР°, РїРµРЅРёРµ, Рё РїРѕСЌС‚РѕРјСѓ РІСЃРµ Р±РѕР»РµР»Рё Рё РїРµСЂРµР¶РёРІР°Р»Рё Р·Р° РјРµРЅСЏ. Р� СЏ СЌС‚РѕРјСѓ РѕС‡РµРЅСЊ СЂР°РґР°! - РљР°Рє С‚РІРѕРё СЂРѕРґСЃС‚РІРµРЅРЅРёРєРё, С‚РІРѕСЏ СЃРµРјСЊСЏ РїРѕРґРґРµСЂР¶РёРІР°СЋС‚ С‚РµР±СЏ? - Р—Р° С‚Рѕ, С‡С‚Рѕ РјСѓР·С‹РєР° СЃС‚Р°Р»Р° РјРѕРµР№ Р¶РёР·РЅСЊСЋ СЏ РґРѕР»Р¶РЅР° РїРѕР±Р»Р°РіРѕРґР°СЂРёС‚СЊ СЃРІРѕРёС… РјР°РјСѓ Рё РїР°РїСѓ. РћРЅРё РїРµСЂРІС‹Рµ Р·Р°РјРµС‚РёР»Рё, С‡С‚Рѕ Сѓ РјРµРЅСЏ РµСЃС‚СЊ СЃРєР»РѕРЅРЅРѕСЃС‚Рё Рє РјСѓР·С‹РєРµ. РњР°РјР° СЂР°СЃСЃРєР°Р·С‹РІР°РµС‚, С‡С‚Рѕ РєРѕРіРґР° СЏ РµС‰Рµ РґР°Р¶Рµ РЅРµ РјРѕРіР»Р° РіРѕРІРѕСЂРёС‚СЊ, СЏ СѓР¶Рµ РїРѕРґСЂР°Р¶Р°Р»Р° Р·РІСѓРєР°Рј СЂРµРєР»Р°РјС‹ РЅР° РўР’. РџРѕРЅРµРјРЅРѕРіСѓ СЏ РЅР°С‡Р°Р»Р° СЂР°СЃРєСЂС‹РІР°С‚СЊ СЃРµРєСЂРµС‚С‹ РјСѓР·С‹РєРё Рё РїРµРЅРёСЏ. РњРѕРё СЂРѕРґРёС‚РµР»Рё Рё СЂРѕРґСЃС‚РІРµРЅРЅРёРєРё РѕС‡РµРЅСЊ РїРѕРґРґРµСЂР¶РёРІР°СЋС‚ РјРµРЅСЏ - РЅРµ С‚РѕР»СЊРєРѕ СЃРѕРїСЂРѕРІРѕР¶РґР°СЋС‚ РјРµРЅСЏ РЅР° РєРѕРЅРєСѓСЂСЃС‹, С„РµСЃС‚РёРІР°Р»Рё, РЅРѕ Рё Р±РѕР»РµСЋС‚ Р·Р° РјРµРЅСЏ, РєРѕРіРґР° СЏ РІС‹СЃС‚СѓРїР°СЋ РїРѕ С‚РµР»РµРІРёРґРµРЅРёСЋ. - РЈ С‚РµР±СЏ РµСЃС‚СЊ РєР°РєРёРµ-С‚Рѕ С„Р°РІРѕСЂРёС‚С‹ РёР· РїСЂРѕС€Р»С‹С… Р»РµС‚ Р”РµС‚СЃРєРѕРіРѕ Р•РІСЂРѕРІРёРґРµРЅРёСЏ? - Р”Р°, РїРѕР±РµРґРёС‚РµР»Рё 2004 РњР°СЂРёСЏ Р�СЃР°Р±РµР»СЊ, 2006 СЃРµСЃС‚СЂС‹ РўРѕР»РјР°С‡РµРІС‹ Рё 2008 - Р‘Р·РёРєРµР±Рё. - РўРµР±Рµ РёРЅС‚РµСЂРµСЃРЅРѕ СѓР·РЅР°С‚СЊ РєС‚Рѕ РїСЂРµРґСЃС‚Р°РІР»СЏРµС‚ РґСЂСѓРіРёРµ СЃС‚СЂР°РЅС‹ РЅР° РєРѕРЅРєСѓСЂСЃРµ, Р±СѓРґРµС€СЊ Р»Рё С‚С‹ СЃР»СѓС€Р°С‚СЊ РґСЂСѓРіРёРµ СѓС‡Р°СЃС‚РІСѓСЋС‰РёРµ РїРµСЃРЅРё РїРµСЂРµРґ РїРѕРµР·РґРєРѕР№ РІ Р•СЂРµРІР°РЅ? - РЇ СѓР¶Рµ РїРѕСЃР»СѓС€Р°Р»Р° РІСЃРµ РІС‹СЃС‚СѓРїР»РµРЅРёСЏ РІСЃРµС… СЃС‚СЂР°РЅ Рё РґР°Р¶Рµ РјРѕРіСѓ РЅР°РїРµС‚СЊ РЅРµРєРѕС‚РѕСЂС‹Рµ РјРµР»РѕРґРёРё. Р•СЃС‚СЊ РѕС‡РµРЅСЊ С…РѕСЂРѕС€РёРµ РїРµСЃРЅРё. РЇ РЅР°РґРµСЋСЃСЊ, С‡С‚Рѕ РјС‹ СЃРјРѕР¶РµРј РїРѕРґСЂСѓР¶РёС‚СЊСЃСЏ СЃ СѓС‡Р°СЃС‚РЅРёРєР°РјРё РёР· РґСЂСѓРіРёС… Р•РІСЂРѕРїРµР№СЃРєРёС… СЃС‚СЂР°РЅ. - РљР°РєСѓСЋ С†РµР»СЊ С‚С‹ СЃС‚Р°РІРёС€СЊ РїРµСЂРµРґ СЃРѕР±РѕР№ РЅР° РєРѕРЅРєСѓСЂСЃРµ? РўС‹ С…РѕС‡РµС€СЊ РѕРґРµСЂР¶Р°С‚СЊ РїРѕР±РµРґСѓ, РёР»Рё РїСЂРѕСЃС‚Рѕ С…РѕСЂРѕС€Рѕ РїСЂРѕРІРµСЃС‚Рё РІСЂРµРјСЏ Рё Р·Р°РІРµСЃС‚Рё РЅРѕРІС‹С… РґСЂСѓР·РµР№? - РЇ РѕС‡РµРЅСЊ СЂР°РґР° С‚РѕРјСѓ, С‡С‚Рѕ Р±СѓРґСѓ СѓС‡Р°СЃС‚РІРѕРІР°С‚СЊ РІ С‚Р°РєРѕРј РєСЂСѓРїРЅРѕРј С„РµСЃС‚РёРІР°Р»Рµ, С‡С‚Рѕ РІСЃС‚РµС‡СѓСЃСЊ СЃ РЅРѕРІС‹РјРё Р»СЋРґСЊРјРё, РЅР°Р№РґСѓ РЅРѕРІС‹С… РґСЂСѓР·РµР№, Рё Р±СѓРґСѓ РїРµС‚СЊ РЅР° СЃР°РјРѕР№ Р±РѕР»СЊС€РѕР№ РґР»СЏ РјРµРЅСЏ СЃС†РµРЅРµ. РЇ С‚Р°РєР¶Рµ СЃ РЅРµС‚РµСЂРїРµРЅРёРµРј Р¶РґСѓ РІРѕР·РјРѕР¶РЅРѕСЃС‚Рё РїРѕР·РЅР°РєРѕРјРёС‚СЊСЃСЏ СЃ РіРѕСЂРѕРґРѕРј Р•СЂРµРІР°РЅРѕРј. РЇ СЃС‡РёС‚Р°СЋ, С‡С‚Рѕ СѓС‡Р°СЃС‚РёРµ РІ СЌС‚РѕРј РєРѕРЅРєСѓСЂСЃРµ РїСЂРёРґР°СЃС‚ РјРЅРµ Р±РѕР»СЊС€СѓСЋ СѓРІРµСЂРµРЅРЅРѕСЃС‚СЊ РІ СЃРµР±Рµ. - Рђ С‚РµР±Рµ РІРѕРѕР±С‰Рµ РЅСЂР°РІСЏС‚СЃСЏ РєРѕРЅРєСѓСЂСЃС‹ Рё СЃРѕСЂРµРІРЅРѕРІР°РЅРёСЏ? РљР°РєРѕР№ РЅР°РёР±РѕР»РµРµ РїР°РјСЏС‚РЅС‹Р№ РґР»СЏ С‚РµР±СЏ С„РµСЃС‚РёРІР°Р»СЊ, РёР· С‚РµС…, РІ РєРѕС‚РѕСЂС‹С… С‚С‹ РїСЂРёРЅРёРјР°Р»Р° СѓС‡Р°СЃС‚РёРµ РїРѕРјРёРјРѕ Р•РІСЂРѕРІРёРґРµРЅРёСЏ? - РљРѕРЅРµС‡РЅРѕ, РїРѕС‚РѕРјСѓ С‡С‚Рѕ РЅР° РєРѕРЅРєСѓСЂСЃР°С… РјРѕР¶РЅРѕ РїРѕСЃС‚РѕСЏРЅРЅРѕ СЃСЂР°РІРЅРёРІР°С‚СЊ СЃРµР±СЏ СЃ РґСЂСѓРіРёРјРё, РїРѕРЅРёРјР°С‚СЊ РєР°РєРѕРІ С‚РІРѕР№ Рё РёС… РїРµСЃРµРЅРЅС‹Р№ СѓСЂРѕРІРµРЅСЊ РІ РЅР°СЃС‚РѕСЏС‰РµРµ РІСЂРµРјСЏ. РЇ Р»СЋР±Р»СЋ СЂР°Р·РЅС‹Рµ РјРµР¶РґСѓРЅР°СЂРѕРґРЅС‹Рµ РєРѕРЅРєСѓСЂСЃС‹ Рё С‚РµР»РµРІРёР·РёРѕРЅРЅС‹Рµ РїСЂРѕРµРєС‚С‹. РЇ Р±С‹Р»Р° РѕС‡РµРЅСЊ СЂР°РґР° РІРѕР·РјРѕР¶РЅРѕСЃС‚Рё РїСЂРёРЅРёРјР°С‚СЊ СѓС‡Р°СЃС‚РёРµ РІ СЃРµРјРё Р»РёС‚РѕРІСЃРєРёС… Рё РјРµР¶РґСѓРЅР°СЂРѕРґРЅС‹С… РєРѕРЅРєСѓСЂСЃР°С… Р·Р° РїРѕСЃР»РµРґРЅРёРµ РіРѕРґС‹ - Рё Р±РѕР»РµРµ С‚РѕРіРѕ - Р·Р°РІРѕРµРІР°С‚СЊ РїРµСЂРІС‹Рµ РјРµСЃС‚Р° РЅР° РїРѕР»РѕРІРёРЅРµ РёР· РЅРёС…. РћСЃРѕР±РµРЅРЅРѕ РјРЅРµ Р·Р°РїРѕРјРЅРёР»СЃСЏ С„РµСЃС‚РёРІР°Р»СЊ "Baltic talents" РІ Р®СЂРјР°Р»Рµ, Рё СЏ С‚Р°РєР¶Рµ РїРѕР»СѓС‡РёР»Р° РЅРµРѕС†РµРЅРёРјС‹Р№ РѕРїС‹С‚ РІ РјРµР¶РґСѓРЅР°СЂРѕРґРЅРѕРј РєРѕРЅРєСѓСЂСЃРµ "Baltic Transit". - РўС‹ РёСЃРїРѕР»РЅСЏРµС€СЊ РјРЅРѕРіРѕ РѕСЂРёРіРёРЅР°Р»СЊРЅС‹С… РїРµСЃРµРЅ, РёР· С‡РµРіРѕ СЃРѕСЃС‚РѕРёС‚ С‚РІРѕР№ РѕСЃРЅРѕРІРЅРѕР№ СЂРµРїРµСЂС‚СѓР°СЂ? - Р•СЃС‚СЊ РєР°Рє РѕСЂРёРіРёРЅР°Р»СЊРЅС‹Рµ РїРµСЃРЅРё, С‚Р°Рє Рё РєРѕРјРїРѕР·РёС†РёРё Р·Р°СЂСѓР±РµР¶РЅС‹С… Р°РІС‚РѕСЂРѕРІ. - РљР°РєСѓСЋ РјСѓР·С‹РєСѓ С‚С‹ РѕР±С‹С‡РЅРѕ СЃР»СѓС€Р°РµС€СЊ? РљС‚Рѕ С‚РІРѕРё Р»СЋР±РёРјС‹Рµ РјРµСЃС‚РЅС‹Рµ Рё РёРЅРѕСЃС‚СЂР°РЅРЅС‹Рµ РёСЃРїРѕР»РЅРёС‚РµР»Рё? - РЇ Р»СЋР±Р»СЋ СЂР°Р·Р»РёС‡РЅСѓСЋ РјСѓР·С‹РєСѓ - РїРѕРї, СЃРѕСѓР». РњРЅРµ РЅСЂР°РІСЏС‚СЃСЏ РёР· Р»РёС‚РѕРІСЃРєРёС… РїРµРІС†РѕРІ- Р®СЂРіР° РЁРµРґСѓР№РєРёС‚Рµ, Saules kliosas. Р•СЃР»Рё РіРѕРІРѕСЂРёС‚СЊ Рѕ Р·Р°СЂСѓР±РµР¶РЅС‹С…- С‚Рѕ СЏ Р»СЋР±Р»СЋ СЃР»СѓС€Р°С‚СЊ РљСЂРёСЃС‚РёРЅСѓ РђРіРёР»РµСЂСѓ Рё Р‘РёР·Сѓ Р”СѓР»РёС‚С‚Р». - РљР°РєРёРµ С‚РІРѕРё РїР»Р°РЅС‹ РїРѕСЃР»Рµ РєРѕРЅРєСѓСЂСЃР°? РўС‹ Р±С‹ С…РѕС‚РµР»Р° СЃС‚Р°С‚СЊ РїСЂРѕС„РµСЃСЃРёРѕРЅР°Р»СЊРЅРѕР№ РїРµРІРёС†РµР№ РІ Р±СѓРґРµС‰РµРј? - РЇ РїСЂРѕРґРѕР»Р¶Сѓ Р¶РёС‚СЊ С‚Р°РєР¶Рµ РєР°Рє Рё РґРѕ Р•РІСЂРѕРІРёРґРµРЅРёСЏ - Р·Р°РЅРёРјР°С‚СЊСЃСЏ РІ РјСѓР·С‹РєР°Р»СЊРЅРѕР№ С€РєРѕР»Рµ, Р±СЂР°С‚СЊ СѓСЂРѕРєРё РІРѕРєР°Р»Р° Рё СѓС‡Р°СЃС‚РІРѕРІР°С‚СЊ РІ РєРѕРЅРєСѓСЂСЃР°С… Рё С‚РµР»РµРІРёР·РёРѕРЅРЅС‹С… РїСЂРѕРµРєС‚Р°С…. РЈ РјРµРЅСЏ РµС‰Рµ РјРЅРѕРіРѕ РІСЂРµРјРµРЅРё РґР»СЏ РјРµС‡С‚Р°РЅРёСЏ, РЅРѕ СЏ РІРµСЂСЋ, С‡С‚Рѕ СЏ СЃС‚Р°РЅСѓ РїСЂРѕС„РµСЃСЃРёРѕРЅР°Р»СЊРЅРѕР№ РїРµРІРёС†РµР№ РІ Р±СѓРґСѓС‰РµРј. РҐРѕС‚СЏ РіРѕРІРѕСЂСЏС‚, С‡С‚Рѕ РЅРµ РЅР°РґРѕ РїСѓР±Р»РёС‡РЅРѕ РѕРіР»Р°С€Р°С‚СЊ СЃРІРѕРё РјРµС‡С‚С‹, С‡С‚РѕР±С‹ РѕРЅРё СЃР±С‹РІР°Р»РёСЃСЊ - РЅРѕ СЏ СЂР°СЃСЃРєР°Р¶Сѓ РІР°Рј СЃРµРєСЂРµС‚ - СЏ РјРµС‡С‚Р°СЋ РІС‹СЃС‚СѓРїРёС‚СЊ РЅР° РѕРґРЅРѕР№ СЃС†РµРЅРµ СЃ РјР°СЃС‚РµСЂРѕРј СЃР°РєСЃРѕС„РѕРЅР° Kenny G. - РѕРЅ С‚Р°РєРѕР№ С‚Р°Р»Р°РЅС‚Р»РёРІС‹Р№ РјСѓР·С‹РєР°РЅС‚! - Р�, РµСЃР»Рё Сѓ С‚РµР±СЏ РµС‰Рµ РµСЃС‚СЊ С‡С‚Рѕ-С‚Рѕ РґРѕР±Р°РІРёС‚СЊ С‡РёС‚Р°С‚РµР»СЏРј, С‚Рѕ С‚С‹ РјРѕР¶РµС€СЊ СЃРґРµР»Р°С‚СЊ СЌС‚Рѕ РїСЂСЏРјРѕ СЃРµР№С‡Р°СЃ. - РЎРїР°СЃРёР±Рѕ Р·Р° РёРЅС‚РµСЂРІСЊСЋ Рё СѓРІРёРґРёРјСЃСЏ РІ Р•СЂРµРІР°РЅРµ! Already on 26th of November Lithuanian entrant Paulina Skrabyte will be departing to Armenia but now, for several times a week she goes to Kaunas to be rehearsing with her team - backing vocalists from Kaunas 'DND' studio and pupil of the Vilnius School of Art pianist Arturas Daunys. Each of them come with their own teacher. "Children are involved in rehearsals and choreography is staged by famous Gintaras Svistunavicius. He wants kids to do some movements on stage, that will help to reveal something about the song, as international audience will not understand the words, but can feel the mood", - says Paulina's vocal teacher Diana Berzanskiene. Static microphones on the stage have been dropped so that vocalists now can move freely. Clothing of kids will be changed as well, a new outfits are designed and produced by Aina Zinciukaite known for her work with multiple European and world champions, Klaipeda sports dance team "The Seagull". "For the contest the main colour will be white. Sometimes, with the selection of colorful clothes, they fade on stage, so to remove all risks we've selected the white color. I know from experience that this color in any lighting looks nice. Each will wear different clothes, they are tailored to children's character - stylist interacted with kids, watched their performance footage. I hope they will look really good "- said the teacher. She also notes, that each delegation had to present the tecnical footage of a performance, so that all details, including the colours and lighting are agreed in advance, and can not be significantly changed later. D. Berzanskiene said to be very thankful to Palanga Mayor Sarunas Vaitkus, who provided 10 thousand LTL (around 3000 Euros) of city money for the preparations of Paulina, as well as to the cultural center, which provides opportunities to rehearse. As promotional products delegation of Lithuania will bring a CD single that includes a video clip filmed in Beiztonas Regional Park, a children's biographies, presentations, song texts in English and Russian languages, and other performances"- told the teacher. "Probably in Yerevan there will be everything - both tears, and the fatigue and excitement, there will be fairly tight schedule - rehearsals, concerts, meetings with journalists. However, there is time for the tours. I think, we go prepared there"- said D. Berzanskiene. This Saturday will be the last appearance of Paulina before the Junior Eurovision. "A girl with her friends will take part in the performance in Marijampole Festival "Rasos laselis", where they will introduce the song "The Clouds" wearing new white outfits. РЈР¶Рµ 26РіРѕ РЅРѕСЏР±СЂСЏ РїСЂРµРґСЃС‚Р°РІРёС‚РµР»СЊРЅРёС†Р° Р›РёС‚РІС‹ РџР°СѓР»РёРЅР° РЎРєСЂР°Р±РёС‚Рµ РѕС‚РїСЂР°РІРёС‚СЃСЏ РІ РђСЂРјРµРЅРёСЋ, Р° СЃРµР№С‡Р°СЃ РѕРЅР° РїРѕ РЅРµСЃРєРѕР»СЊРєСѓ СЂР°Р· Р·Р° РґРµРЅСЊ РµР·РґРёС‚ РІ РљР°СѓРЅР°СЃ РґР»СЏ СЂРµРїРµС‚РёС†РёР№ СЃРѕ СЃРІРѕРµР№ РєРѕРјР°РЅРґРѕР№ - Р±СЌРє РІРѕРєР°Р»РёСЃС‚Р°РјРё РёР· РљР°СѓРЅР°СЃСЃРєРѕР№ СЃС‚СѓРґРёРё "DND" Рё СѓС‡РµРЅРёРєРѕРј Р’РёР»СЊРЅСЋСЃСЃРєРѕР№ С€РєРѕР»С‹ РёСЃРєСѓСЃСЃС‚РІ РїРёР°РЅРёСЃС‚РѕРј РђСЂС‚СѓСЂР°СЃРѕРј Р”Р°СѓРЅРёСЃРѕРј. РљР°Р¶РґС‹Р№ РёР· РЅРёС… РїСѓС‚РµС€РµСЃС‚РІСѓРµС‚ СЃРѕ СЃРІРѕРёРј РїРµРґР°РіРѕРіРѕРј. "РЎРµР№С‡Р°СЃ РґРµС‚Рё Р·Р°РЅСЏС‚С‹ СЂРµРїРµС‚РёС†РёСЏРјРё, С…РѕСЂРµРѕРіСЂР°С„РёСЋ РёРј РїРѕСЃС‚Р°РІРёР» Р·РЅР°РјРµРЅРёС‚С‹Р№ Р“РёРЅС‚Р°СЂР°СЃ РЎРІРёСЃС‚СѓРЅР°РІРёС‡СѓСЃ. РћРЅ С…РѕС‡РµС‚, С‡С‚РѕР±С‹ РґРµС‚Рё РґРІРёРіР°Р»РёСЃСЊ РЅР° СЃС†РµРЅРµ, С‡С‚Рѕ РјРѕР¶РµС‚ РїРѕРјРѕС‡СЊ РїРµСЂРµРґР°С‚СЊ СЃСѓС‚СЊ РїРµСЃРЅРё, РїРѕСЃРєРѕР»СЊРєСѓ РёРЅРѕСЃС‚СЂР°РЅРЅС‹Рµ СЃР»СѓС€Р°С‚РµР»Рё РЅРµ РїРѕР№РјСѓС‚ С‚РµРєСЃС‚Р°, РЅРѕ РјРѕРіСѓС‚ РїРѕС‡СѓРІСЃС‚РІРѕРІР°С‚СЊ РЅР°СЃС‚СЂРѕРµРЅРёРµ", РіРѕРІРѕСЂРёС‚ РїРµРґР°РіРѕРі РџР°СѓР»РёРЅС‹ Р”РёР°РЅР° Р‘РµСЂР¶Р°РЅСЃРєРёРµРЅРµ "Vakarine Palanga". РћС‚ СЃС‚Р°С‚РёС‡РЅС‹С… РјРёРєСЂРѕС„РѕРЅРѕРІ РЅР° СЃС†РµРЅРµ С‚Р°РєР¶Рµ СЂРµС€РµРЅРѕ Р±С‹Р»Рѕ РѕС‚РєР°Р·Р°С‚СЊСЃСЏ, С‡С‚РѕР±С‹ РїРѕР·РІРѕР»РёС‚СЊ РІРѕРєР°Р»РёСЃС‚Р°Рј СЃРІРѕР±РѕРґРЅРѕ РїРµСЂРµРґРІРёРіР°С‚СЊСЃСЏ. РљРѕСЃС‚СЋРјС‹ РґРµС‚РµР№ С‚Р°РєР¶Рµ РёР·РјРµРЅСЏС‚СЃСЏ, РЅРѕРІСѓСЋ РѕРґРµР¶РґСѓ СЂР°Р·СЂР°Р±РѕС‚Р°Р»Р° Рё РїРѕРґРіРѕС‚РёРІРёР»Р° РђРёРЅР° Р—РёРЅС‡РёСѓРєР°Р№С‚Рµ, РёР·РІРµСЃС‚РЅР°СЏ РїРѕ СЃРІРѕРµР№ СЂР°Р±РѕС‚Рµ СЃ СЂСЏРґРѕРј С‡РµРјРїРёРѕРЅРѕРІ Р•РІСЂРѕРїС‹ Рё РјРёСЂР° РёР· РљР»Р°Р№РїРµРґСЃРєРѕР№ СЃРїРѕСЂС‚РёРІРЅРѕР№ С‚Р°РЅС†РµРІР°Р»СЊРЅРѕР№ РєРѕРјР°РЅРґС‹ "Р–СѓРІРµРґСЂР°". "Р”Р»СЏ РєРѕРЅРєСѓСЂСЃР° РѕСЃРЅРѕРІРЅС‹Рј С†РІРµС‚РѕРј СЃС‚Р°РЅРµС‚ Р±РµР»С‹Р№. Р�РЅРѕРіРґР°, РїСЂРё РІС‹Р±РѕСЂРµ С†РІРµС‚РЅС‹С… РєРѕСЃС‚СЋРјРѕРІ РѕРєР°Р·С‹РІР°РµС‚СЃСЏ, С‡С‚Рѕ РѕРЅРё СЃР»РёРІР°СЋС‚СЃСЏ СЃРѕ СЃС†РµРЅРѕР№, РїРѕСЌС‚РѕРјСѓ РґР»СЏ С‚РѕРіРѕ, С‡С‚РѕР±С‹ РёР·Р±РµР¶Р°С‚СЊ СЂРёСЃРєРѕРІ РјС‹ РІС‹Р±СЂР°Р»Рё Р±РµР»С‹Р№ С†РІРµС‚. РџРѕ СЃРІРѕРµРјСѓ РѕРїС‹С‚Сѓ СЏ Р·РЅР°СЋ, С‡С‚Рѕ СЌС‚РѕС‚ С†РІРµС‚ РІС‹РіР»СЏРґРёС‚ РѕС‚Р»РёС‡РЅРѕ РїСЂРё Р»СЋР±РѕРј РѕСЃРІРµС‰РµРЅРёРё. РљР°Р¶РґС‹Р№ СѓС‡Р°СЃС‚РЅРёРє РЅРѕРјРµСЂР° Р±СѓРґРµС‚ РЅРѕСЃРёС‚СЊ РѕСЃРѕР±С‹Р№ РєРѕСЃС‚СЋРј, РѕРЅРё РїРѕС€РёС‚С‹ РІ СЃРѕРѕС‚РІРµС‚СЃС‚РІРёРё СЃ С…Р°СЂР°РєРµС‚СЂР°РјРё РґРµС‚РµР№ - СЃС‚РёР»РёСЃС‚ РѕР±С‰Р°Р»Р°СЃСЊ СЃ РґРµС‚СЊРјРё, СЃРјРѕС‚СЂРµР»Р° РёС… РІС‹СЃС‚СѓРїР»РµРЅРёСЏ. РЇ РЅР°РґРµСЋСЃСЊ, С‡С‚Рѕ РѕРЅРё Р±СѓРґСѓС‚ РІС‹РіР»СЏРґРµС‚СЊ РѕС‡РµРЅСЊ СЃС‚РёР»СЊРЅРѕ", РіРѕРІРѕСЂРёС‚ РїРµРґР°РіРѕРі. РўР°РєР¶Рµ РѕРЅР° РѕС‚РјРµС‡Р°РµС‚, С‡С‚Рѕ РєР°Р¶РґР°СЏ РґРµР»РµРіР°С†РёСЏ РґРѕР»Р¶РЅР° Р±С‹Р»Р° РїРѕРґР°С‚СЊ С‚РµС…РЅРёС‡РµСЃРєСѓСЋ Р·Р°РїРёСЃСЊ РІС‹СЃС‚СѓРїР»РµРЅРёСЏ, РїРѕСЌС‚РѕРјСѓ РІСЃРµ РґРµС‚Р°Р»Рё, РІРєР»СЋС‡Р°СЏ С†РІРµС‚Р° Рё РѕСЃРІРµС‰РµРЅРёРµ РѕР±РіРѕРІР°СЂРёРІР°СЋС‚СЃСЏ Р·Р°СЂР°РЅРµРµ Рё РёС… РЅРµР»СЊР·СЏ Р·РЅР°С‡РёС‚РµР»СЊРЅРѕ РёР·РјРµРЅРёС‚СЊ РїРѕР·РґРЅРµРµ. Р”.Р‘РµСЂР¶Р°РЅСЃРєРёРµРЅРµ С‚Р°РєР¶Рµ РѕС‚РјРµС‡Р°РµС‚, С‡С‚Рѕ РѕРЅРё РѕС‡РµРЅСЊ Р±Р»Р°РіРѕРґР°СЂРЅС‹ РјСЌСЂСѓ РџР°Р»Р°РЅРіРё РЁР°СЂСѓРЅР°СЃСѓ Р’Р°Р№С‚РєСѓСЃСѓ, РєРѕС‚РѕСЂС‹Р№ РІС‹РґРµР»РёР»Рё 10 С‚С‹СЃСЏС‡ Р»РёС‚РѕРІ (РѕРєРѕР»Рѕ 3000 РµРІСЂРѕ) РёР· РіРѕСЂРѕРґСЃРєРѕРіРѕ Р±СЋРґР¶РµС‚Р° РЅР° РїРѕРґРіРѕС‚РѕРІРєСѓ РџР°СѓР»РёРЅС‹, Р° С‚Р°РєР¶Рµ РљСѓР»СЊС‚СѓСЂРЅРѕРјСѓ С†РµРЅС‚СЂСѓ, РїСЂРµРґРѕСЃС‚Р°РІРёРІС€РµРјСѓ РІРѕР·РјРѕР¶РЅРѕСЃС‚СЊ РґР»СЏ СЂРµРїРµС‚РёС†РёР№. Р’ РєР°С‡РµСЃС‚РІРµ РїСЂРѕРјРѕРїСЂРѕРґСѓРєС†РёРё РґРµР»РµРіР°С†РёСЏ Р›РёС‚РІС‹ РїСЂРёРІРµР·РµС‚ СЃ СЃРѕР±РѕР№ РїСЂРѕРјРѕ-РґРёСЃРє, РЅР° РєРѕС‚РѕСЂС‹Р№ РІРѕС€Р»Рё РІРёРґРµРѕРєР»РёРї, СЃРЅСЏС‚С‹Р№ РІ РїР°СЂРєРµ Р‘РµР№Р¶С‚РѕРЅР°СЃ, Р±РёРѕРіСЂР°С„РёРё РґРµС‚РµР№, РїСЂРµР·РµРЅС‚Р°С†РёРё, С‚РµРєСЃС‚С‹ РїРµСЃРЅРё РЅР° Р°РЅРіР»РёР№СЃРєРѕРј Рё СЂСѓСЃСЃРєРѕРј СЏР·С‹РєР°С…, Рё РґСЂСѓРіРёРµ Р·Р°РїРёСЃРё", СЂР°СЃСЃРєР°Р·С‹РІР°РµС‚ РїРµРґР°РіРѕРі. "РЎРєРѕСЂРµРµ РІСЃРµРіРѕ РІ Р•СЂРµРІР°РЅРµ РЅР°СЃ Р¶РґРµС‚ РІСЃРµ - Рё СЃР»РµР·С‹, Рё СѓСЃС‚Р°Р»РѕСЃС‚СЊ, Рё СЂР°РґРѕСЃС‚СЊ, Сѓ РЅР°СЃ Р±СѓРґРµС‚ РІРµСЃСЊРјР° РЅР°РїСЂСЏР¶РµРЅРЅРѕРµ СЂР°СЃРїРёСЃР°РЅРёРµ - СЂРµРїРµС‚РёС†РёРё, РєРѕРЅС†РµСЂС‚С‹, РІСЃС‚СЂРµС‡Рё СЃ РїСЂРµСЃСЃРѕР№. РћРґРЅР°РєРѕ, Р±СѓРґРµС‚ РІСЂРµРјСЏ Рё РґР»СЏ С‚СѓСЂРѕРІ. РЇ РґСѓРјР°СЋ, С‡С‚Рѕ РјС‹ РѕС‚РїСЂР°РІР»СЏРµРјСЃСЏ С‚СѓРґР° РїРѕР»РЅРѕСЃС‚СЊСЋ РіРѕС‚РѕРІС‹РјРё", РіРѕРІРѕСЂРёС‚ Р”.Р‘РµСЂР¶Р°РЅСЃРєРёРµРЅРµ. Р’ СЌС‚Сѓ СЃСѓР±Р±РѕС‚Сѓ СЃРѕСЃС‚РѕРёС‚СЃСЏ РїРѕСЃР»РµРґРЅРµРµ РІС‹СЃС‚СѓРїР»РµРЅРёРµ РџР°СѓР»РёРЅС‹ РїРµСЂРµРґ Р”РµС‚СЃРєРёРј Р•РІСЂРѕРІРёРґРµРЅРёРµ. "Р”РµРІРѕС‡РєР° СЃРѕ СЃРІРѕРёРјРё РґСЂСѓР·СЊСЏРјРё РїСЂРёРјРµС‚ СѓС‡Р°СЃС‚РёРµ РІ С„РµСЃС‚РёРІР°Р»Рµ "Rasos laselis", РіРґРµ РѕРЅРё РїСЂРµРґСЃС‚Р°РІСЏС‚ РїРµСЃРЅСЋ "The Clouds" СѓР¶Рµ РІ РЅРѕРІС‹С…, Р±РµР»С‹С… РєРѕСЃС‚СЋРјР°С…. Hardly anything has been heard from Lithuanian camp of preparations. 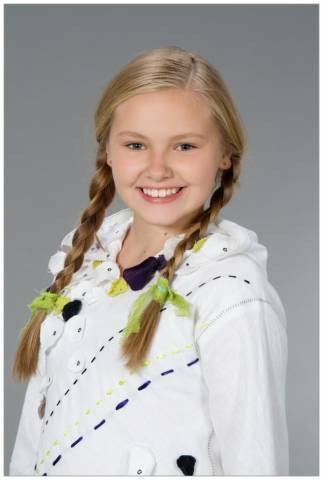 Youngest JESC 2011 entrant Paulina Skrabyte first of all comes from country town of Palanga and has been spending most of the time at her home town, and secondly unfortunately she isn't fluent in neither English or Russian which limited her ability to present her entry through the range of interviews. However, now we can now present a very rare one, in which you can find more about her preparations for the contest. Also, Lithuanian listeners can listen to interview with Paulina's vocal coach in LR program "Muzikines vidudienis" here. Р�Р· Р»РёС‚РѕРІСЃРєРѕРіРѕ Р»Р°РіРµСЂСЏ РІ СЌС‚РѕРј РіРѕРґСѓ РЅРµ РїРѕСЃС‚СѓРїР°Р»Рѕ РїСЂР°РєС‚РёС‡РµСЃРєРё РЅРёРєР°РєРёС… РЅРѕРІРѕСЃС‚РµР№ Рѕ РїРѕРґРіРѕС‚РѕРІРєРµ СѓС‡Р°СЃС‚РЅРёРєР°. РЎР°РјР°СЏ СЋРЅР°СЏ СѓС‡Р°СЃС‚РЅРёС†Р° РєРѕРЅРєСѓСЂСЃР° 2011 РіРѕРґР° РџР°СѓР»РёРЅР° РЎРєСЂР°Р±РёС‚Рµ СЂРѕРґРѕРј РёР· РЅРµР±РѕР»СЊС€РѕРіРѕ РіРѕСЂРѕРґР° РџР°Р»Р°РЅРіР° Рё РїСЂРѕРІРѕРґРёС‚ Р±РѕР»СЊС€СѓСЋ С‡Р°СЃС‚СЊ РІСЂРµРјРµРЅРё РІ РЅРµРј, Рё, Рє СЃРѕР¶Р°Р»РµРЅРёСЋ, РѕРЅР° РЅРµ РІР»Р°РґРµРµС‚ РІ РїРѕР»РЅРѕР№ РјРµСЂРµ Р°РЅРіР»РёР№СЃРєРёРј Р»РёР±Рѕ СЂСѓСЃСЃРєРёРј СЏР·С‹РєРѕРј, С‡С‚Рѕ РѕРіСЂР°РЅРёС‡РёРІР°РµС‚ РµРµ РІРѕР·РјРѕР¶РЅРѕСЃС‚СЊ РїСЂРµРґСЃС‚Р°РІРёС‚СЊ СЃРµР±СЏ РїРѕСЃСЂРµРґСЃС‚РІРѕРј РёРЅС‚РµСЂРІСЊСЋ. РћРґРЅР°РєРѕ, СЃРµР№С‡Р°СЃ РјС‹ РјРѕР¶РµРј РїРѕР·РЅР°РєРѕРјРёС‚СЊ РІР°СЃ СЃ РѕРґРЅРѕР№ РёР· СЂРµРґРєРёС… Р±РµСЃРµРґ СЃ СѓС‡Р°СЃС‚РЅРёС†РµР№, РєРѕС‚РѕСЂР°СЏ РїРѕРІРµРґР°РµС‚ Рѕ СЃРІРѕРµР№ РїРѕРґРіРѕС‚РѕРІРєРµ Рє РєРѕРЅРєСѓСЂСЃСѓ. РўР°РєР¶Рµ, Р»РёС‚РѕРІСЃРєРёРµ СЃР»СѓС€Р°С‚РµР»Рё РјРѕРіСѓС‚ РїСЂРѕСЃР»СѓС€Р°С‚СЊ Р·Р°РїРёСЃСЊ РёРЅС‚РµСЂРІСЊСЋ СЃ РІРѕРєР°Р»СЊРЅС‹Рј РїРµРґР°РіРѕРіРѕРј РџР°СѓР»РёРЅС‹ РІ СЂР°РґРёРѕ РїСЂРѕРіСЂР°РјРјРµ "Muzikines vidudienis" Р·РґРµСЃСЊ. - Paulina, how the idea to take part in JESC came to you? - I have been watching this contest several times and once I have told my mother that I want to participate in the show. - How your song "Debesys" was created, who helped you in it? - I often had different ideas and music notes in my head, and I sing everywhere - in the shower, in bed, in the car. Many of them can be developed in songs, but "The Clouds" is the first one I showed to the audience. I'm going with it to another country, and will be singing in front of the whole of Europe. So after the participation idea came, I first began to develop the song myself, and when I showed it to my teacher, she told me that some order of the notes has to be adjusted. She found a professional music composer Mindaugas Lapinskis, who helped me. In the result we've got "The Clouds" in the way I took part with it in the selection process - and won. - What do you think helped you the most to get the victory? - Probably because I concentrate and think only about my song. This is the best recipe, which I believe in and it always helps. - Are you worried of the fact, you will be representative of the whole country? - I'm trying to empathize with the song and convey everyone. It seems to me that as I was not worried at the national selection, so I will be not worried on Armenian stage as well. - Who is working with you as the vocal coach? - It is Diana Berzanskiene, she is very good teacher. I love her a lot. During the week, we usually meet three times, but now when we are preparing to the Junior Eurovision we're rehearsing five days a week. - Can you introduce your stage team? - I'm joined by singers from studio DND in Kaunas, they are members of group UPS - Domantas Teleisa, Evelina Zaksauskaite and Timas Paulicenka as well as pianist Arturas Daunys from Vilnius school of Art. This was the idea of my vocal coach to invite other professional kids artists from other groups and cities to our performance, so that all of us had expericence. - You have already filmed a music video for your song, can you tell us more? 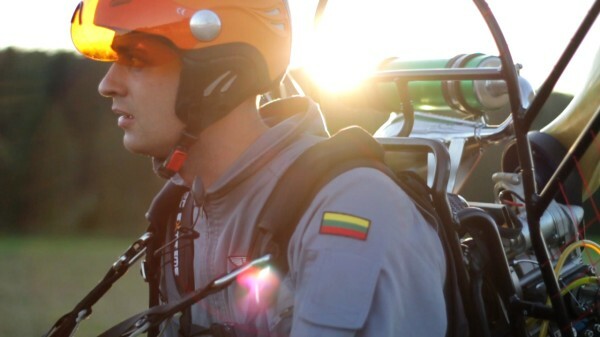 - It has been filmed by awzstudios, operators Juozas Surblys and Arvydas Strimaitis in Birztonas Regional Park. 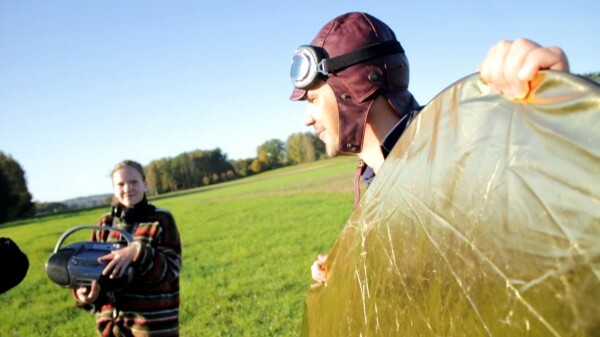 We had so much fun filming it outdoors, and we have even produced an alternative ending video that show how our cameraman was flying above the field and filming us playing and having fun. - Do you come from the music family? - Yes, we all sing in the family, my mother graduated from music school, and grandfather plays a variety of instruments. But my sister lives in a very different way - she dances. - You have already took part in many contests, what are the most memorable to you? - Three times I took part in international competition "Baltic Transit", held in Jurmala, where I sang songs about dad, "Strazdas" and "Gyvenimo rate". At my previous international contest "Baby sing" I also won the first prize. Then I also had performances at the TV projects: "Talentu ringas", "Duosim garo", "Tukstantmecio vaikai", "Mazuju zvaigzdziu ringas". - What else music activities are you having now? - Recently, I filmed for a new musical project "Vunderkindai", which is supported by the president. I am thinking about concerts in Estonia, Latvia, together with other Lithuanians. On November 19th, shortly before going to Armenia, I will take part in the children and youth pop music festival "Rasos laseliai 2011"
- What are your other hobbies, how do you spend your leasure time? - I like to read books and listen to the music. - Do you have any music idols, or simply favourite artists from local or foreign singers? - Christina Aguilera sings very nicely, as well as Jurga Seduikyte. - What are your plans for the future, would you like to become a professional singer? - Music makes whole life for me. Hopefully, I will raise to be a professional singer. - РџР°СѓР»РёРЅР°, РєР°Рє РїСЂРёС€Р»Р° РёРґРµСЏ РїСЂРёРЅСЏС‚СЊ СѓС‡Р°СЃС‚РёРµ РІ СЌС‚РѕРј РєРѕРЅРєСѓСЂСЃРµ? - РЇ РЅРµСЃРєРѕР»СЊРєРѕ СЂР°Р· СЃРјРѕС‚СЂРµР»Р° РµРіРѕ Рё РѕРґРЅР°Р¶РґС‹ СЏ РїСЂРµРґР»РѕР¶РёР»Р° РјРѕРµР№ РјР°РјРµ, С‡С‚Рѕ СЏ СЃР°РјР° С…РѕС‡Сѓ РїСЂРёРЅСЏС‚СЊ РІ РЅРµРј СѓС‡Р°СЃС‚РёРµ. - РљР°Рє Р±С‹Р»Р° СЃРѕР·РґР°РЅР° С‚РІРѕСЏ РїРµСЃРЅСЏ "Debesys", РєС‚Рѕ РїРѕРјРѕРіР°Р» С‚РµР±Рµ РІ СЌС‚РѕРј? - РЈ РјРµРЅСЏ С‡Р°СЃС‚Рѕ РІ РіРѕР»РѕРІРµ РІРёС‚Р°СЋС‚ СЂР°Р·Р»РёС‡РЅС‹Рµ РёРґРµРё Рё РЅРѕС‚С‹, Рё СЏ РїРѕСЋ РІРµР·РґРµ - РІ РґСѓС€Рµ, РІ РїРѕСЃС‚РµР»Рё, РІ РјР°С€РёРЅРµ. РњРЅРѕРіРёРµ РёР· РЅРёС… РјРѕР¶РЅРѕ Р±С‹Р»Рѕ Р±С‹ СЂР°Р·РІРёС‚СЊ РІ РїРµСЃРЅРё, РЅРѕ "The Clouds" - РїРµСЂРІР°СЏ, РєРѕС‚РѕСЂСѓСЋ СЏ РїРѕРєР°Р·Р°Р»Р° Р°СѓРґРёС‚РѕСЂРёРё. РЇ РµРґСѓ СЃ РЅРµР№ РІ РґСЂСѓРіСѓСЋ СЃС‚СЂР°РЅСѓ, Рё Р±СѓРґСѓ РїРµС‚СЊ РµРµ РїРµСЂРµРґ РІСЃРµР№ Р•РІСЂРѕРїРѕР№. РўР°РєРёРј РѕР±СЂР°Р·РѕРј, РїРѕСЃР»Рµ С‚РѕРіРѕ, РєР°Рє РїРѕСЏРІРёР»Р°СЃСЊ РёРґРµСЏ Рѕ РјРѕРµРј СѓС‡Р°СЃС‚РёРё РІ РєРѕРЅРєСѓСЂСЃРµ, СЏ РЅР°С‡Р°Р»Р° СЃР°РјР° СЂР°Р·РІРёРІР°С‚СЊ РїРµСЃРЅСЋ, Рё РєРѕРіРґР° СЏ РїРѕРєР°Р·Р°Р»Р° РµРµ СЃРІРѕРµРјСѓ РїРµРґР°РіРѕРіСѓ, РѕРЅР° СЃРєР°Р·Р°Р»Р° РјРЅРµ, С‡С‚Рѕ РЅР°РґРѕ РЅРµРјРЅРѕРіРѕ РїРѕСЂР°Р±РѕС‚Р°С‚СЊ РЅР°Рґ РїРѕСЂСЏРґРєРѕРј РЅРµРєРѕС‚РѕСЂС‹С… РЅРѕС‚. РћРЅР° РЅР°С€Р»Р° РїСЂРѕС„РµСЃСЃРёРѕРЅР°Р»СЊРЅРѕРіРѕ РєРѕРјРїРѕР·РёС‚РѕСЂР° РњРёРЅРґР°СѓРіР°СЃР° Р›Р°РїРёРЅСЃРєРёСЃР°, РєРѕС‚РѕСЂС‹Р№ РїРѕРјРѕРі РјРЅРµ РІ СЌС‚РѕРј. Р’ СЂРµР·СѓР»СЊС‚Р°С‚Рµ, РјС‹ РїРѕР»СѓС‡РёР»Рё "The Clouds" РІ С‚Р°РєРѕРј РІРёРґРµ, РєР°РєРѕРј РѕРЅР° РїСЂРёРЅРёРјР°Р»Р° СѓС‡Р°СЃС‚РёРµ РІ РЅР°С†РёРѕРЅР°Р»СЊРЅРѕРј РѕС‚Р±РѕСЂРµ - Рё РѕРґРµСЂР¶Р°Р»Р° РїРѕР±РµРґСѓ. - Р§С‚Рѕ РїРѕ С‚РІРѕРµРјСѓ РјРЅРµРЅРёСЋ РїРѕРјРѕРіР»Рѕ С‚РµР±Рµ Р±РѕР»СЊС€Рµ РІСЃРµРіРѕ РїРѕР±РµРґРёС‚СЊ? - РќР°РІРµСЂРЅРѕРµ С‚Рѕ, С‡С‚Рѕ СЏ СЃРєРѕРЅС†РµРЅС‚СЂРёСЂРѕРІР°Р»Р°СЃСЊ Рё РґСѓРјР°Р»Р° С‚РѕР»СЊРєРѕ Рѕ СЃРІРѕРµР№ РїРµСЃРЅРµ. Р­С‚Рѕ СЃР°РјС‹Р№ Р»СѓС‡С€РёР№ СЂРµС†РµРїС‚, СЏ РІРµСЂСЋ РІ РЅРµРіРѕ Рё РѕРЅ РјРЅРµ РІСЃРµРіРґР° РїРѕРјРѕРіР°РµС‚. - РўС‹ РІРѕР»РЅСѓРµС€СЊСЃСЏ, РїРѕС‚РѕРјСѓ С‡С‚Рѕ Р±СѓРґРµС€СЊ РїСЂРµРґСЃС‚Р°РІР»СЏС‚СЊ С†РµР»СѓСЋ СЃС‚СЂР°РЅСѓ? - РЇ С…РѕС‡Сѓ РІС‹РґРµР»РёС‚СЊ СЃРІРѕСЋ РїРµСЃРЅСЋ Рё СѓР±РµРґРёС‚СЊ РІСЃРµС…. РњРЅРµ РєР°Р¶РµС‚СЃСЏ, С‡С‚Рѕ РµСЃР»Рё СЏ РЅРµ РІРѕР»РЅРѕРІР°Р»Р°СЃСЊ РЅР° РЅР°С†РёРѕРЅР°Р»СЊРЅРѕРј РѕС‚Р±РѕСЂРµ, С‚Рѕ РЅРµ Р±СѓРґСѓ РІРѕР»РЅРѕРІР°С‚СЊСЃСЏ Рё РЅР° Р°СЂРјСЏРЅСЃРєРѕР№ СЃС†РµРЅРµ. - РљС‚Рѕ СЂР°Р±РѕС‚Р°РµС‚ СЃ С‚РѕР±РѕР№ РІ РєР°С‡РµСЃС‚РІРµ РїРµРґР°РіРѕРіР° РїРѕ РІРѕРєР°Р»Сѓ? - Р­С‚Рѕ Р”РёР°РЅР° Р‘РµСЂР¶Р°РЅСЃРєРёРµРЅРµ, РѕРЅР° РѕС‡РµРЅСЊ С…РѕСЂРѕС€РёР№ РїРµРґР°РіРѕРі, СЏ РµРµ РѕС‡РµРЅСЊ Р»СЋР±Р»СЋ. Р—Р° РЅРµРґРµР»СЋ РјС‹ РѕР±С‹С‡РЅРѕ РІСЃС‚СЂРµС‡Р°РµРјСЃСЏ С‚СЂРё СЂР°Р·Р°, РЅРѕ СЃРµР№С‡Р°СЃ, РєРѕРіРґР° РјС‹ РіРѕС‚РѕРІРёРјСЃСЏ Рє Р”РµС‚СЃРєРѕРјСѓ Р•РІСЂРѕРІРёРґРµРЅРёСЋ, РјС‹ СЂРµРїРµС‚РёСЂСѓРµРј РїРѕ РїСЏС‚СЊ СЂР°Р· РІ РЅРµРґРµР»СЋ. - РЎРѕ РјРЅРѕР№ РІРјРµСЃС‚Рµ РІС‹СЃС‚СѓРїР°СЋС‚ СЃРѕР»РёСЃС‚С‹ РёР· СЃС‚СѓРґРёРё DND РёР· РљР°СѓРЅР°СЃР°, РѕРЅРё СѓС‡Р°СЃС‚РЅРёРєРё РіСЂСѓРїРїС‹ UPS - Р”РѕРјР°РЅС‚Р°СЃ РўРµР»РµР№С€Р°, Р­РІРµР»РёРЅР° Р—Р°РєС€Р°СѓСЃРєР°Р№С‚Рµ Рё РўРёРјР°СЃ РџР°СѓР»РёС‡РµРЅРєР°, Р° С‚Р°РєР¶Рµ РїРёР°РЅРёСЃС‚ РђСЂС‚СѓСЂР°СЃ Р”Р°СѓРЅРёСЃ РёР· Р’РёР»СЊРЅСЋСЃСЃРєРѕР№ С…СѓРґРѕР¶РµСЃС‚РІРµРЅРЅРѕР№ С€РєРѕР»С‹. Р­С‚Рѕ Р±С‹Р»Р° РёРґРµСЏ РјРѕРµРіРѕ РїРµРґР°РіРѕРіР° РїСЂРёРіР»Р°СЃРёС‚СЊ РґСЂСѓРіРёС… РїСЂРѕС„РµСЃСЃРёРѕРЅР°Р»СЊРЅС‹С… РјРѕР»РѕРґС‹С… Р°СЂС‚РёСЃС‚РѕРІ РёР· РґСЂСѓРіРёС… РіСЂСѓРїРї Рё РіРѕСЂРѕРґРѕРІ РІ РјРѕР№ РЅРѕРјРµСЂ, С‡С‚РѕР±С‹ РІСЃРµ РµРіРѕ СѓС‡Р°СЃС‚РЅРёРєРё РёРјРµР»Рё Р±РѕР»СЊС€РѕР№ РѕРїС‹С‚. - Р’С‹ СѓР¶Рµ СЃРЅСЏР»Рё РІРёРґРµРѕРєР»РёРї РЅР° РІР°С€Сѓ РїРµСЃРЅСЋ, СЂР°СЃСЃРєР°Р¶Рё Рѕ РЅРµРј? - РћРЅ Р±С‹Р» СЃРЅСЏС‚ awzstudios, СЂРµР¶РёСЃСЃРµСЂС‹ Р®РѕР·Р°СЃ РЎСѓСЂР±Р»РёСЃ Рё РђСЂРІРёРґР°СЃ РЎС‚СЂРёРјР°Р№С‚РёСЃ РІ СЂРµРіРёРѕРЅР°Р»СЊРЅРѕРј РїР°СЂРєРµ Р‘РёСЂР¶С‚РѕРЅР°СЃ, РјС‹ С‚Р°Рє РїРѕРІРµСЃРµР»РёР»РёСЃСЊ СЃРЅРёРјР°СЏ РµРіРѕ РЅР° РѕС‚РєСЂС‹С‚РѕРј РїРѕР»Рµ, С‡С‚Рѕ РґР°Р¶Рµ СЃРЅСЏР»Рё РІРёРґРµРѕ СЃ Р°Р»СЊС‚РµСЂРЅР°С‚РёРІРЅРѕР№ РєРѕРЅС†РѕРІРєРѕР№, РєРѕС‚РѕСЂРѕРµ РїРѕРєР°Р·С‹РІР°РµС‚, РєР°Рє РЅР°С€ РѕРїРµСЂР°С‚РѕСЂ Р»РµС‚Р°Р» РЅР°Рґ РїРѕР»РµРј Рё СЃРЅРёРјР°Р» РєР°Рє РјС‹ РёРіСЂР°РµРј Рё РІРµСЃРµР»РёРјСЃСЏ. - РЈ С‚РµР±СЏ РјСѓР·С‹РєР°Р»СЊРЅР°СЏ СЃРµРјСЊСЏ? - Р”Р°, РјС‹ РІСЃРµ РІ СЃРµРјСЊРµ РїРѕРµРј, РјРѕСЏ РјР°РјР° Р·Р°РєРѕРЅС‡РёР»Р° РјСѓР·С‹РєР°Р»СЊРЅСѓСЋ С€РєРѕР»Сѓ, Р° РґРµРґСѓС€РєР° РёРіСЂР°РµС‚ РЅР° РјРЅРѕР¶РµСЃС‚РІРµ РёРЅСЃС‚СЂСѓРјРµРЅС‚РѕРІ. РќРѕ РјРѕСЏ СЃРµСЃС‚СЂР° СЂРµС€РёР»Р° РїРѕР№С‚Рё РїРѕ РґСЂСѓРіРѕРјСѓ РїСѓС‚Рё - РѕРЅР° С‚Р°РЅС†СѓРµС‚. - РўС‹ СѓР¶Рµ РїСЂРёРЅРёРјР°Р»Р° СѓС‡Р°СЃС‚РёРµ РІРѕ РјРЅРѕР¶РµСЃС‚РІРµ РєРѕРЅРєСѓСЂСЃРѕРІ, РєР°РєРёРµ Р·Р°РїРѕРјРЅРёР»РёСЃСЊ С‚РµР±Рµ Р±РѕР»СЊС€Рµ РІСЃРµРіРѕ? - РўСЂРёР¶РґС‹ СЏ СѓС‡Р°СЃС‚РІРѕРІР°Р»Р° РІ РјРµР¶РґСѓРЅР°СЂРѕРґРЅРѕРј РєРѕРЅРєСѓСЂСЃРµ "Baltic Transit", РєРѕС‚РѕСЂС‹Р№ РїСЂРѕРІРѕРґРёС‚СЃСЏ РІ Р®СЂРјР°Р»Рµ, СЏ РїРµР»Р° РїРµСЃРЅРё Рѕ РїР°РїРµ, "Strazdas" Рё "Gyvenimo rate". РќР° СЃРІРѕРµРј РїСЂРµРґС‹РґСѓС‰РµРј РјРµР¶РґСѓРЅР°СЂРѕРґРЅРѕРј РєРѕРЅРєСѓСЂСЃРµ "Baby Sing" СЏ С‚Р°РєР¶Рµ Р·Р°РІРѕРµРІР°Р»Р° РїРµСЂРІРѕРµ РјРµСЃС‚Рѕ. РџРѕС‚РѕРј Сѓ РјРµРЅСЏ С‚Р°РєР¶Рµ Р±С‹Р»Рё РІС‹СЃС‚СѓРїР»РµРЅРёСЏ РІ С‚РµР»РµРїСЂРѕРµРєС‚Р°С…: "Talentu ringas", "Duosim garo", "Tukstantmecio vaikai", "Mazuju zvaigzdziu ringas". - Р§РµРј С‚С‹ РµС‰Рµ СЃРµР№С‡Р°СЃ Р·Р°РЅРёРјР°РµС€СЊСЃСЏ РІ РїР»Р°РЅРµ РјСѓР·С‹РєРё? - РќРµРґР°РІРЅРѕ, СЏ СЃРЅРёРјР°Р»Р°СЃСЊ РІ РЅРѕРІРѕРј РјСѓР·С‹РєР°Р»СЊРЅРѕРј РїСЂРѕРµРєС‚Рµ "Vunderkindai", РєРѕС‚РѕСЂС‹Р№ РїРѕРґРґРµСЂР¶РёРІР°РµС‚ РїСЂРµР·РёРґРµРЅС‚. РЇ РїР»Р°РЅРёСЂСѓСЋ РєРѕРЅС†РµСЂС‚С‹ РІ Р­СЃС‚РѕРЅРёРё, Р›Р°С‚РІРёРё - РІРјРµСЃС‚Рµ СЃ РґСЂСѓРіРёРјРё Р»РёС‚РѕРІСЃРєРёРјРё РёСЃРїРѕР»РЅРёС‚РµР»СЏРјРё. 19РіРѕ РЅРѕСЏР±СЂСЏ, РЅРµР·Р°РґРѕР»РіРѕ РґРѕ РІС‹Р»РµС‚Р° РІ РђСЂРјРµРЅРёСЋ СЏ РїСЂРёРјСѓ СѓС‡Р°СЃС‚РёРµ РІ РґРµС‚СЃРєРѕРј Рё РјРѕР»РѕРґРµР¶РЅРѕРј РјСѓР·С‹РєР°Р»СЊРЅРѕРј С„РµСЃС‚РёРІР°Р»Рµ "Rasos laseliai 2011". - РљР°РєРёРµ РµС‰Рµ Сѓ С‚РµР±СЏ С…РѕР±Р±Рё, РєР°Рє С‚С‹ РїСЂРѕРІРѕРґРёС€СЊ СЃРІРѕР±РѕРґРЅРѕРµ РІСЂРµРјСЏ? - РЇ Р»СЋР±Р»СЋ С‡РёС‚Р°С‚СЊ РєРЅРёРіРё Рё СЃР»СѓС€Р°С‚СЊ РјСѓР·С‹РєСѓ. - РЈ С‚РµР±СЏ РµСЃС‚СЊ РєСѓРјРёСЂС‹, РёР»Рё РїСЂРѕСЃС‚Рѕ Р»СЋР±РёРјС‹Рµ РёСЃРїРѕР»РЅРёС‚РµР»Рё РёР· РјРµСЃС‚РЅС‹С… РёР»Рё Р·Р°СЂСѓР±РµР¶РЅС‹С…? - РњРЅРµ РЅСЂР°РІРёС‚СЃСЏ РєР°Рє РїРѕРµС‚ РљСЂРёСЃС‚РёРЅР° РђРіРёР»РµСЂР°, Р° С‚Р°РєР¶Рµ Р®СЂРіР° РЁРµРґСѓР№РєРёС‚Рµ. - РљР°РєРёРµ Сѓ С‚РµР±СЏ РїР»Р°РЅС‹ РЅР° Р±СѓРґСѓС‰РµРµ, С‚С‹ С…РѕС‡РµС€СЊ СЃС‚Р°С‚СЊ РїСЂРѕС„РµСЃСЃРёРѕРЅР°Р»СЊРЅРѕР№ РїРµРІРёС†РµР№? - РњСѓР·С‹РєР° СЃРѕСЃС‚Р°РІР»СЏРµС‚ РІСЃСЋ Р¶РёР·РЅСЊ РґР»СЏ РјРµРЅСЏ. РЇ РЅР°РґРµСЋСЃСЊ, С‡С‚Рѕ РєРѕРіРґР° РІС‹СЂР°СЃС‚Сѓ - СЏ СЃС‚Р°РЅСѓ РїСЂРѕС„РµСЃСЃРёРѕРЅР°Р»СЊРЅРѕР№ РїРµРІРёС†РµР№. Nojus Bartaska-Bartas, last year representative of the Lithuania at Junior Eurovision Song Contest, this Sunday will open the national preselection with his new song. He will be assisted by composer and producer of "Oki-Doki" Arvydas Martinenas-Vudis. They will perform the song "O buvo visko". Performers will sing together for a reason - from mid-October they will travel together across Lithuania, presenting their latest albums. "It was a long-planned duet, I hope our audience will like it" - says Vudis. РќРѕСЋСЃ Р‘Р°СЂС‚Р°С€РєР°-Р‘Р°СЂС‚Р°СЃ, РїСЂРѕС€Р»РѕРіРѕРґРЅРёР№ РїСЂРµРґСЃС‚Р°РІРёС‚РµР»СЊ Р›РёС‚РІС‹ РЅР° Р”РµС‚СЃРєРѕРј Р•РІСЂРѕРІРёРґРµРЅРёРё, РІ СЌС‚Рѕ РІРѕСЃРєСЂРµСЃРµРЅСЊРµ РѕС‚РєСЂРѕРµС‚ РЅР°С†РёРѕРЅР°Р»СЊРЅС‹Р№ РѕС‚Р±РѕСЂ СЃРѕ СЃРІРѕРµР№ РЅРѕРІРѕР№ РїРµСЃРЅРµР№. Р’РјРµСЃС‚Рµ СЃ РЅРёРј РІС‹СЃС‚СѓРїРёС‚ РєРѕРјРїРѕР·РёС‚РѕСЂ Рё РїСЂРѕРґСЋСЃРµСЂ "РћРєРё-Р”РѕРєРё" РђСЂРІРёРґР°СЃ РњР°СЂС‚РёРЅРµРЅР°СЃ-Р’СѓРґРёСЃ. РћРЅРё РёСЃРїРѕР»РЅСЏС‚ РїРµСЃРЅСЋ "O buvo visko". Р�СЃРїРѕР»РЅРёС‚РµР»Рё РѕР±СЉРµРґРёРЅСЏСЋС‚СЃСЏ СЃРѕ СЃРїРµС†РёР°Р»СЊРЅРѕР№ С†РµР»СЊСЋ - СЃ СЃРµСЂРµРґРёРЅС‹ РѕРєС‚СЏР±СЂСЏ РѕРЅРё РІРјРµСЃС‚Рµ РѕС‚РїСЂР°РІСЏС‚СЃСЏ РІ С‚СѓСЂ РїРѕ Р›РёС‚РІРµ, РїСЂРµРґСЃС‚Р°РІР»СЏСЏ СЃРІРѕРё РЅРѕРІС‹Рµ Р°Р»СЊР±РѕРјС‹. "Р­С‚Рѕ Р±С‹Р» РґР°РІРЅРѕ Р·Р°РїР»Р°РЅРёСЂРѕРІР°РЅРЅС‹Р№ РґСѓСЌС‚, Рё СЏ РЅР°РґРµСЋСЃСЊ РЅР°С€РёРј СЃР»СѓС€Р°С‚РµР»СЏРј РѕРЅ РїРѕРЅСЂР°РІРёС‚СЃСЏ", - РіРѕРІРѕСЂРёС‚ Р’СѓРґРёСЃ. 13/09 Names of the finalists of Lithuanian preselection have been made public today. 11 entrants will compete in the national final on 18th of September at 18.30 local time (17.30 CET). Show will be hosted by Ignas KrupaviДЌius and 10 years old Dominykas. Dominykas took part in preselection 2007, 2008, 2010, Ieva, Milita, Gabriele, Bernardas, Agne, Daumantas took part in preselection last year, Doroteja in 2008. Top 3 selected by 7 member jury and televoting will qualify to the superfinal, where only jury will select winner of the competition. Voters will be able to vote on from the beginning of the show and there will be less jury appearances, as they won't comment on every entry. Bartas and Egle Jurgaityte will perform as guests. It is believed that broadcast of the show will take place at the same time when commercial broadcaster will air 3rd place game in Basketball championship taking place in Lithuania. However organizers of the show are confident it will not harm it's ratings as they aim for a different audience. РЎС‚Р°Р»Рё РёР·РІРµСЃС‚РЅС‹ РёРјРµРЅР° С„РёРЅР°Р»РёСЃС‚РѕРІ Р»РёС‚РѕРІСЃРєРѕРіРѕ РѕС‚Р±РѕСЂР°. Р’ РЅР°С†РёРѕРЅР°Р»СЊРЅРѕРј С„РёРЅР°Р»Рµ 18РіРѕ СЃРµРЅС‚СЏР±СЂСЏ РІ 18.30 РјРµСЃС‚РЅРѕРіРѕ РІСЂРµРјРµРЅРё (19.30 РњРѕСЃРєРІС‹) СЃСЂР°Р·СЏС‚СЃСЏ 11 СѓС‡Р°СЃС‚РЅРёРєРѕРІ. РџСЂРѕРІРµРґСѓС‚ С€РѕСѓ Ignas Krupavicius Рё 10-Р»РµС‚РЅРёР№ Dominykas. Dominykas РїСЂРёРЅРёРјР°Р» СѓС‡Р°СЃС‚РёРµ РІ РѕС‚Р±РѕСЂР°С… 2007, 2008, 2010, Ieva, Milita, Gabriele, Bernardas, Agne, Daumantas РїСЂРёРЅРёРјР°Р»Рё СѓС‡Р°СЃС‚РёРµ РІ РѕС‚Р±РѕСЂРµ РІ РїСЂРѕС€Р»РѕРј РіРѕРґСѓ, Doroteja РІ 2008. РўРѕРї 3, РІС‹Р±СЂР°РЅРЅС‹Рµ Р¶СЋСЂРё РёР· 7 С‡Р»РµРЅРѕРІ Рё С‚РµР»РµР·СЂРёС‚РµР»СЏРјРё, РІС‹Р№РґСѓС‚ РІ СЃСѓРїРµСЂС„РёРЅР°Р», РіРґРµ С‚РѕР»СЊРєРѕ СЂРµС€РµРЅРёРµ Р¶СЋСЂРё РѕРїСЂРµРґРµР»РёС‚ РїРѕР±РµРґРёС‚РµР»СЏ. Р—СЂРёС‚РµР»Рё СЃРјРѕРіСѓС‚ РіРѕР»РѕСЃРѕРІР°С‚СЊ СЃ РЅР°С‡Р°Р»Р° С€РѕСѓ, Р° Р¶СЋСЂРё Р±СѓРґРµС‚ РїРѕСЏРІР»СЏС‚СЊСЃСЏ РІ РєР°РґСЂРµ СЂРµР¶Рµ - РѕРЅРѕ РЅРµ Р±СѓРґРµС‚ РІ СЌС‚РѕС‚ СЂР°Р· РєРѕРјРјРµРЅС‚РёСЂРѕРІР°С‚СЊ РІСЃРµ РІС‹СЃС‚СѓРїР»РµРЅРёСЏ. Р‘Р°СЂС‚Р°СЃ Рё Р­РіР»Рµ Р®СЂРіР°РёС‚РёС‚Рµ РІС‹СЃС‚СѓРїСЏС‚ РІ РєР°С‡РµСЃС‚РІРµ РіРѕСЃС‚РµР№. РўСЂР°РЅСЃР»СЏС†РёСЏ РѕС‚Р±РѕСЂРѕС‡РЅРѕРіРѕ РєРѕРЅС†РµСЂС‚Р° СЃРѕРІРїР°РґРµС‚ РїРѕ РІСЂРµРјРµРЅРё СЃ С‚СЂР°РЅСЃР»СЏС†РёРµР№ РјР°С‚С‡Р° Р·Р° 3 РјРµСЃС‚Рѕ РЅР° С‡РµРјРїРёРѕРЅР°С‚Рµ РїРѕ Р±Р°СЃРєРµС‚Р±РѕР»Сѓ, РЅР° РєРѕРјРјРµСЂС‡РµСЃРєРѕРј РІРµС‰Р°С‚РµР»Рµ. РћРґРЅР°РєРѕ, РѕСЂРіР°РЅРёР·Р°С‚РѕСЂС‹ РїРѕР»Р°РіР°СЋС‚, С‡С‚Рѕ СЌС‚Рѕ РЅРµ РЅР°РІСЂРµРґРёС‚ РµРµ СЂРµР№С‚РёРЅРіСѓ, РїРѕС‚РѕРјСѓ С‡С‚Рѕ РѕРЅРё СЂР°СЃСЃС‡РёС‚С‹РІР°СЋС‚ РЅР° РґСЂСѓРіРѕР№ СЃРµРіРјРµРЅС‚ Р°СѓРґРёС‚РѕСЂРёРё. 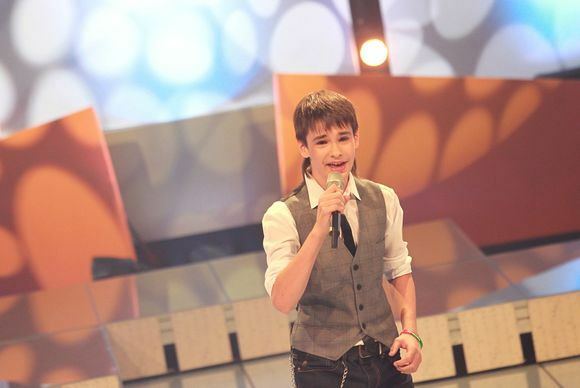 Popular Lithuanian singer Donatas Montvydas (performing now under stage name Donny Montell) has presented yesterday a new hit single "Yes or No", however fans of the contest have immediately recognized in it the song "Tarp taves ir manes" that was performed by Milita Daikeryte at last year's national preselection for Junior Eurovision. Producer of the singer, Martynas Tyla has explained that Donatas is composer and lyricist of the song and has permitted Milita to use it for the Eurovision preselection. Now Donatas has decided to perform his own song himself. This year, Milita has paired with different team for Junior Eurovision. Her entry is produced by songwriters of last year's entry "Oki-Doki" Ruta Lukoseviciute and Arvydas Martinenas-Vudis. "The song is titled "Degu ritmu", in English it means something like that "I have such a rhythm". I hope that the people will like our song as much as I do myself. National final of JESC in Lithuania is on 18th of September so we are strongly preparing for that day", Vudis told to ESCKAZ. РџРѕРїСѓР»СЏСЂРЅС‹Р№ Р»РёС‚РѕРІСЃРєРёР№ РёСЃРїРѕР»РЅРёС‚РµР»СЊ Р”РѕРЅР°С‚Р°СЃ РњРѕРЅС‚РІРёРґР°СЃ (РІС‹СЃС‚СѓРїР°СЋС‰РёР№ РїРѕРґ СЃС†РµРЅРёС‡РµСЃРєРёРј РёРјРµРЅРµРј Donny Montell) РїСЂРµРґСЃС‚Р°РІРёР» РІС‡РµСЂР° СЃРІРѕР№ РЅРѕРІС‹Р№ С…РёС‚ СЃРёРЅРіР» "Yes or No", РѕРґРЅР°РєРѕ РїРѕРєР»РѕРЅРЅРёРєРё РєРѕРЅРєСѓСЂСЃР° РЅРµРјРµРґР»РµРЅРЅРѕ СѓР·РЅР°Р»Рё РІ РЅРµРј РєРѕРјРїРѕР·РёС†РёСЋ "Tarp taves ir manes", РєРѕС‚РѕСЂСѓСЋ РњРёР»РёС‚Р° Р”Р°Р№РєРµСЂРёС‚Рµ РёСЃРїРѕР»РЅСЏР»Р° РЅР° РѕС‚Р±РѕСЂРµ РЅР° Р”РµС‚СЃРєРѕРµ Р•РІСЂРѕРІРёРґРµРЅРёРµ РїСЂРѕС€Р»РѕРіРѕ РіРѕРґР°. РџСЂРѕРґСЋСЃРµСЂ РёСЃРїРѕР»РЅРёС‚РµР»СЏ, РњР°СЂС‚РёРЅР°СЃ РўРёР»Р° РѕР±СЉСЏСЃРЅРёР», С‡С‚Рѕ Р”РѕРЅР°С‚Р°СЃ СЏРІР»СЏРµС‚СЃСЏ РєРѕРјРїРѕР·РёС‚РѕСЂРѕРј Рё Р°РІС‚РѕСЂРѕРј СЃР»РѕРІ РїРµСЃРЅРё, Рё РґР°Р» СЂР°Р·СЂРµС€РµРЅРёРµ РњРёР»РёС‚Рµ РЅР° РёСЃРїРѕР»СЊР·РѕРІР°РЅРёРµ РµРµ РЅР° РѕС‚Р±РѕСЂРµ Рє Р•РІСЂРѕРІРёРґРµРЅРёСЋ. РЎРµР№С‡Р°СЃ Р¶Рµ Р”РѕРЅР°С‚Р°СЃ СЂРµС€РёР» СЃР°Рј РёСЃРїРѕР»РЅСЏС‚СЊ СЌС‚Сѓ РєРѕРјРїРѕР·РёС†РёСЋ. Р’ СЌС‚РѕРј РіРѕРґСѓ РњРёР»РёС‚Р° СЃРѕС‚СЂСѓРґРЅРёС‡Р°РµС‚ РІ РїРѕРґРіРѕС‚РѕРІРєРµ Рє Р•РІСЂРѕРІРёРґРµРЅРёСЋ СЃ РґСЂСѓРіРѕР№ РєРѕРјР°РЅРґРѕР№. Р•Рµ РїРµСЃРЅСЋ РЅР°РїРёСЃР°Р»Рё Р°РІС‚РѕСЂС‹ РїСЂРѕС€Р»РѕРіРѕРґРЅРµР№ "Oki-Doki" Р СѓС‚Р° Р›СѓРєРѕС€РµРІРёС‡СѓС‚Рµ Рё РђСЂРІРёРґР°СЃ РњР°СЂС‚РёРЅРµРЅР°СЃ-Р’СѓРґРёСЃ. "РџРµСЃРЅСЏ РЅР°Р·С‹РІР°РµС‚СЃСЏ "Degu ritmu", РЅР° СЂСѓСЃСЃРєРѕРј СЌС‚Рѕ Р·РЅР°С‡РёС‚ С‡С‚Рѕ-С‚Рѕ РїСЂРёРјРµСЂРЅРѕ "РЈ РјРµРЅСЏ РµСЃС‚СЊ С‚Р°РєРѕР№ СЂРёС‚Рј". РЇ РЅР°РґРµСЋСЃСЊ, С‡С‚Рѕ Р·СЂРёС‚РµР»СЏРј СЌС‚Р° РїРµСЃРЅСЏ РїРѕРЅСЂР°РІРёС‚СЃСЏ С‚Р°РєР¶Рµ РєР°Рє Рё РјРЅРµ СЃР°РјРѕРјСѓ. Р¤РёРЅР°Р» Р»РёС‚РѕРІСЃРєРѕРіРѕ РѕС‚Р±РѕСЂР° РїСЂРѕР№РґРµС‚ 18РіРѕ СЃРµРЅС‚СЏР±СЂСЏ, РїРѕСЌС‚РѕРјСѓ РјС‹ СѓСЃРёР»РµРЅРЅРѕ РіРѕС‚РѕРІРёРјСЃСЏ Рє СЌС‚РѕР№ РґР°С‚Рµ", СЃРєР°Р·Р°Р» Р’СѓРґРёСЃ ESCKAZ. 23/08 Small interest in Junior Eurovision participation in Lithuania. During a submission period which lasted from 22nd of June to 16th of August only around 20 entries have been received. LRT is still waiting for extra entries that may have stuck in the post, however if number of entries will not increase, it is possible that LRT will hold only one final concert instead of planned semifinals. Update: LRT confirms, that it is very likely that there will be only one final concert on September 18th. However, they keep door open for a new entries and hope that with correction of the rules there will be more entries submitted. Final decision is expected after two weeks time. Head of delegation Audrius Girzadas has explained lack of entries with difficulty to find adult professionals to help working on songs. There are also cases with groups planning to enter, but with one member dropping out plans are being changed. Audrius also mentioned that fortunately, LRT was able to negotiate a favourable entrance fee, that allowed Lithuanian to stay in the contest. Armenian organizers have also agreed to share travel and accomodation costs. Among the entrants trying out themselves again this year are last year participants: Milita Daikeryte (with song by Ruta Lukoseviciute and Arvydas Martinenas - Vudis), Bernardas Garbaciauskas, Dominykas Kovaliovas and other. Head of delegation also added that he had requested from EBU clarification on the rule changes for 2011 edition of the contest. LRT believes that from this year, backing vocals should be performed live on stage. Indeed, checking the rules it appears that rule 1.2.2 j) stats that: "Artists shall perform live on stage, accompanied by a recorded backing-track which contains no vocals of any kind or any vocal imitations The Host Broadcaster shall verify respect for this rule". However, at the same time Annexe 1, 3. f) states that "Upon receipt of the backing-track tapes of the Participating Broadcasters' child artist(s), the Host Broadcaster shall be responsible for checking that the tapes, as well as the instrumental or backing vocals featuring the child artist(s) who will be performing on stage at the Contest, do not contain lead vocals". We hope EBU clarifies this paragraph as soon as possible. РћР±РЅРѕРІР»РµРЅРёРµ: LRT РїРѕРґС‚РІРµСЂР¶РґР°РµС‚, С‡С‚Рѕ СЃРєРѕСЂРµРµ РІСЃРµРіРѕ Р±СѓРґРµС‚ РѕРґРёРЅ С„РёРЅР°Р»СЊРЅС‹Р№ РєРѕРЅС†РµСЂС‚ 18РіРѕ СЃРµРЅС‚СЏР±СЂСЏ. РћРґРЅР°РєРѕ, РѕРЅРё РїСЂРѕРґРѕР»Р¶Р°СЋС‚ РїСЂРёРµРј РЅРѕРІС‹С… Р·Р°СЏРІРѕРє Рё РЅР°РґРµСЋС‚СЃСЏ, С‡С‚Рѕ СЃ РєРѕСЂСЂРµРєС†РёРµР№ РїСЂР°РІРёР» Р±СѓРґРµС‚ РїРѕРґР°РЅРѕ РµС‰Рµ Р±РѕР»СЊС€Рµ РїРµСЃРµРЅ. РћРєРѕРЅС‡Р°С‚РµР»СЊРЅРѕРµ СЂРµС€РµРЅРёРµ РѕР¶РёРґР°РµС‚СЃСЏ С‡РµСЂРµР· РґРІРµ РЅРµРґРµР»Рё. Р“Р»Р°РІР° РґРµР»РµРіР°С†РёРё РђСѓРґСЂРёСѓСЃ Р“РёСЂР¶Р°РґР°СЃ РѕР±СЉСЏСЃРЅСЏРµС‚ РЅРёР·РєРѕРµ С‡РёСЃР»Рѕ Р·Р°СЏРІРѕРє С‚СЂСѓРґРЅРѕСЃС‚СЊСЋ РІ РїРѕРёСЃРєРµ РїСЂРѕС„РµСЃСЃРёРѕРЅР°Р»РѕРІ, РєРѕС‚РѕСЂС‹Рµ РјРѕРіР»Рё Р±С‹ РїРѕРјРѕС‡СЊ РІ СЂР°Р±РѕС‚Рµ РЅР°Рґ РїРµСЃРЅСЏРјРё. Р•СЃС‚СЊ С‚Р°РєР¶Рµ СЃР»СѓС‡Р°Рё, РєРѕРіРґР° РїР»Р°РЅРёСЂРѕРІР°Р»Рё СѓС‡Р°СЃС‚РёРµ РіСЂСѓРїРїС‹, РЅРѕ РїРѕСЃР»Рµ РѕС‚РєР°Р·Р° РѕРґРЅРѕРіРѕ РёР· СѓС‡Р°СЃС‚РЅРёРєРѕРІ, РїСЂРёС…РѕРґРёС‚СЃСЏ РёР·РјРµРЅСЏС‚СЊ СЌС‚Рё РїР»Р°РЅС‹. Р“РёСЂР¶Р°РґР°СЃ С‚Р°РєР¶Рµ РѕС‚РјРµС‚РёР» С‡С‚Рѕ, Рє СЃС‡Р°СЃС‚СЊСЋ, LRT СѓРґР°Р»РѕСЃСЊ РїСЂРѕРІРµСЃС‚Рё РїРµСЂРµРіРѕРІРѕСЂС‹ Рё РґРѕРіРѕРІРѕСЂРёС‚СЃСЏ РѕР± СѓРјРµСЂРµРЅРЅРѕРј РІР·РЅРѕСЃРµ Р·Р° РїСЂР°РІРѕ СѓС‡Р°СЃС‚РёСЏ, С‡С‚Рѕ РїРѕР·РІРѕР»РёР»Рѕ Р›РёС‚РІРµ РѕСЃС‚Р°С‚СЊСЃСЏ РІ РєРѕРЅРєСѓСЂСЃРµ. РћСЂРіР°РЅРёР·Р°С‚РѕСЂС‹ РёР· РђСЂРјРµРЅРёРё С‚Р°РєР¶Рµ СЃРѕРіР»Р°СЃРёР»РёСЃСЊ СЂР°Р·РґРµР»РёС‚СЊ Р·Р°С‚СЂР°С‚С‹ РЅР° РїСЂРѕРµР·Рґ Рё РїСЂРѕР¶РёРІР°РЅРёРµ СѓС‡Р°СЃС‚РЅРёРєРѕРІ. РЎСЂРµРґРё СѓС‡Р°СЃС‚РЅРёРєРѕРІ, РєРѕС‚РѕСЂС‹Рµ РІРЅРѕРІСЊ РїР»Р°РЅРёСЂСѓСЋС‚ РїРѕРїСЂРѕР±РѕРІР°С‚СЊ СЃРµР±СЏ РІ РѕС‚Р±РѕСЂ, СЂСЏРґ РєРѕРЅРєСѓСЂСЃР°РЅС‚РѕРІ РїСЂРѕС€Р»РѕРіРѕ РіРѕРґР°: РњРёР»РёС‚Р° Р”Р°Р№РєРµСЂРёС‚Рµ (СЃ РїРµСЃРЅРµР№ Р СѓС‚С‹ Р›СѓРєРѕС€РµРІРёС‡СѓС‚Рµ Рё РђСЂРІРёРґР°СЃР° РњР°СЂС‚РёРЅРµРЅР°СЃР°-Р’СѓРґРёСЃР°), Р‘РµСЂРЅР°СЂРґР°СЃ Р“Р°СЂР±Р°С‡РёР°СѓСЃРєР°СЃ, Р”РѕРјРёРЅРёРєР°СЃ РљРѕРІР°Р»С‘РІР°СЃ Рё РґСЂ. Р“Р»Р°РІР° РґРµР»РµРіР°С†РёРё С‚Р°РєР¶Рµ Р·Р°РјРµС‚РёР», С‡С‚Рѕ Р·Р°РїСЂРѕСЃРёР» Сѓ Р•Р’РЎ РѕР±СЉСЏСЃРЅРµРЅРёСЏ РїРѕ РїРѕРІРѕРґСѓ РёР·РјРµРЅРµРЅРёСЏ РїСЂР°РІРёР» РЅР° РєРѕРЅРєСѓСЂСЃ 2011 РіРѕРґР°. LRT РїРѕР»Р°РіР°РµС‚, С‡С‚Рѕ СЃ СЌС‚РѕРіРѕ РіРѕРґР° Р±СЌРє-РІРѕРєР°Р»С‹ РґРѕР»Р¶РЅС‹ Р±СѓРґСѓС‚ РёСЃРїРѕР»РЅСЏС‚СЊСЃСЏ РЅР° СЃС†РµРЅРµ РІР¶РёРІСѓСЋ. Р’ СЃР°РјРѕРј РґРµР»Рµ, СЃРІРµСЂСЏСЏСЃСЊ СЃ РїСЂР°РІРёР»Р°РјРё РјРѕР¶РЅРѕ Р·Р°РјРµС‚РёС‚СЊ С‡С‚Рѕ РїСѓРЅРєС‚ 1.2.2. j) РіРѕРІРѕСЂРёС‚, С‡С‚Рѕ "РђСЂС‚РёСЃС‚С‹ РґРѕР»Р¶РЅС‹ РІС‹СЃС‚СѓРїР°С‚СЊ РІР¶РёРІСѓСЋ РЅР° СЃС†РµРЅРµ РїРѕРґ Р°РєРєРѕРјРїР°РЅРёРјРµРЅС‚ Р·Р°РїРёСЃР°РЅРЅРѕРіРѕ Р±СЌРє-С‚СЂРµРє, РєРѕС‚РѕСЂС‹Р№ РЅРµ РґРѕР»Р¶РµРЅ СЃРѕРґРµСЂР¶Р°С‚СЊ РІРѕРєР°Р»РѕРІ Р»РёР±Рѕ РєР°РєРёС… Р»РёР±Рѕ РёРјРёС‚Р°С†РёР№ РІРѕРєР°Р»РѕРІ. РўРµР»РµРєРѕРјРїР°РЅРёСЏ - РѕСЂРіР°РЅРёР·Р°С‚РѕСЂ РґРѕР»Р¶РЅР° СѓРґРѕСЃС‚РѕРІРµСЂРёС‚СЊСЃСЏ РІ СЃРѕР±Р»СЋРґРµРЅРёРё РґР°РЅРЅРѕРіРѕ РїСЂР°РІРёР»Р°". РћРґРЅР°РєРѕ, РІ С‚Рѕ Р¶Рµ РІСЂРµРјСЏ, РїСЂРёР»РѕР¶РµРЅРёРµ 1.3. f) РіР»Р°СЃРёС‚ Рѕ С‚РѕРј, С‡С‚Рѕ "РџРѕСЃР»Рµ РїРѕР»СѓС‡РµРЅРёСЏ Р±СЌРє-С‚СЂРµРєР° РѕС‚ СѓС‡Р°СЃС‚РІСѓСЋС‰РёС… РІРµС‰Р°С‚РµР»РµР№ Рё Р°СЂС‚РёСЃС‚РѕРІ, С‚РµР»РµРєРѕРјРїР°РЅРёСЏ - РѕСЂРіР°РЅРёР·Р°С‚РѕСЂ РґРѕР»Р¶РЅР° СѓРґРѕСЃС‚РѕРІРµСЂРёС‚СЊСЃСЏ РІ С‚РѕРј, С‡С‚Рѕ Р·Р°РїРёСЃРё, РёРЅСЃС‚СЂСѓРјРµРЅС‚Р°Р»С‹ РёР»Рё Р±СЌРє-РІРѕРєР°Р»С‹, РёСЃРїРѕР»СЊР·СѓРµРјС‹Рµ РґРµС‚СЊРјРё-Р°СЂС‚РёСЃС‚Р°РјРё РґР»СЏ РёС… СЃС†РµРЅРёС‡РµСЃРєРѕРіРѕ РІС‹СЃС‚СѓРїР»РµРЅРёСЏ РЅР° РєРѕРЅРєСѓСЂСЃРµ, РЅРµ СЃРѕРґРµСЂР¶Р°С‚ Р»РёРґ-РІРѕРєР°Р»РѕРІ". РњС‹ РЅР°РґРµРµРјСЃСЏ, С‡С‚Рѕ Р•Р’РЎ РІ Р±Р»РёР¶Р°Р№С€РµРµ РІСЂРµРјСЏ СЂР°Р·СЉСЏСЃРЅРёС‚ СЌС‚РѕС‚ РїР°СЂР°РіСЂР°С„. 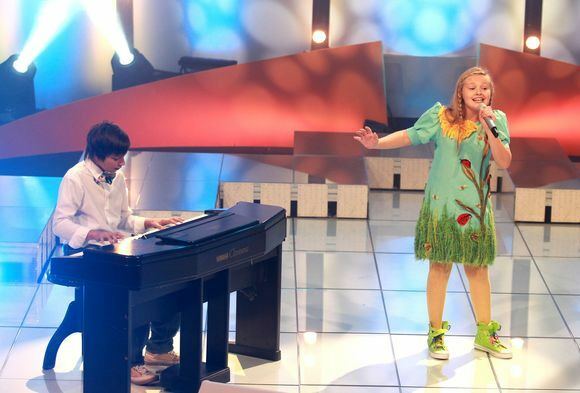 22/06 Lithuanian broadcaster LRT has published detailed regulations for the national preselection for JESC 2011. Entries, including song on a CD, application form, CV, photos and contacts of performers and songwriters, song lyrics should be sent to LRT, Musical department, S.Konarskio str 49, Vilnius and song in mp3 and photos to eurovizijosatranka@lrt.lt. Submissions deadline is 16th of August. Rest is available on LRT site. Selection scheme is similar to 2010 - Two semifinals will be held on 4th and 11th of September and from each 5 entries will qualify to the final (in case of tie jury voting prevails). LRT also can add up to 5 wildcards to the final which will then include 10-15 participants and will take place on September 18th. Superfinal on the same evening will feature 3 best entries and only Jury vote will decide best of them. РўРµР»РµРІРёРґРµРЅРёРµ Р›РёС‚РІС‹ РѕРїСѓР±Р»РёРєРѕРІР°Р»Рѕ РґРµС‚Р°Р»СЊРЅС‹Рµ РїСЂР°РІРёР»Р° РЅР°С†РёРѕРЅР°Р»СЊРЅРѕРіРѕ РѕС‚Р±РѕСЂР° РЅР° Р”РµС‚СЃРєРѕРµ Р•РІСЂРѕРІРёРґРµРЅРёРµ 2011. Р—Р°СЏРІРєРё, РІРєР»СЋС‡Р°СЋС‰РёРµ РІ СЃРµР±СЏ РїРµСЃРЅСЋ РЅР° РґРёСЃРєРµ, Р°РЅРєРµС‚Сѓ, СЂРµР·СЋРјРµ, С„РѕС‚Рѕ Рё РєРѕРЅС‚Р°РєС‚РЅС‹Рµ РґР°РЅРЅС‹Рµ РёСЃРїРѕР»РЅРёС‚РµР»РµР№ Рё Р°РІС‚РѕСЂРѕРІ, Р° С‚Р°РєР¶Рµ С‚РµРєСЃС‚ РїРµСЃРЅРё РґРѕР»Р¶РЅС‹ Р±С‹С‚СЊ РѕС‚РїСЂР°РІР»РµРЅС‹ РїРѕ Р°РґСЂРµСЃСѓ: Р›Р Рў, РњСѓР·С‹РєР°Р»СЊРЅР°СЏ СЂРµРґР°РєС†РёСЏ, S.Konarskio g. 49, Р’РёР»СЊРЅСЋСЃ, Р° РїРµСЃРЅСЏ РІ mp3 С„РѕСЂРјР°С‚Рµ Рё С„РѕС‚Рѕ РЅР° eurovizijosatranka@lrt.lt. Р—Р°СЏРІРєРё РїСЂРёРЅРёРјР°СЋС‚СЃСЏ РґРѕ 16РіРѕ Р°РІРіСѓСЃС‚Р°. Р”РѕРїРѕР»РЅРёС‚РµР»СЊРЅР°СЏ РёРЅС„РѕСЂРјР°С†РёСЏ - РЅР° СЃР°Р№С‚Рµ Р›Р Рў. РЎС…РµРјР° РѕС‚Р±РѕСЂР° РѕСЃС‚Р°РµС‚СЃСЏ РїСЂРµР¶РЅРµР№ - РґРІР° РїРѕР»СѓС„РёРЅР°Р»Р° РїСЂРѕР№РґСѓС‚ 4РіРѕ Рё 11РіРѕ СЃРµРЅС‚СЏР±СЂСЏ Рё РёР· РєР°Р¶РґРѕРіРѕ РёР· РЅРёС… РІ С„РёРЅР°Р» РїСЂРѕР№РґСѓС‚ РїРѕ 5 РїРµСЃРµРЅ (РІ СЃР»СѓС‡Р°Рµ СЂР°РІРµРЅСЃС‚РІР° Р±Р°Р»Р»РѕРІ РїСЂРёРѕСЂРёС‚РµС‚ РїРѕР»СѓС‡Р°РµС‚ РіРѕР»РѕСЃРѕРІР°РЅРёРµ Р¶СЋСЂРё). LRT С‚Р°РєР¶Рµ РјРѕР¶РµС‚ РґРѕР±Р°РІРёС‚СЊ РґРѕ 5 РІР°Р№Р»РґРєР°СЂРґРѕРІ РІ С„РёРЅР°Р», РІ РєРѕС‚РѕСЂРѕРј С‚Р°РєРёРј РѕР±СЂР°Р·РѕРј 18РіРѕ СЃРµРЅС‚СЏР±СЂСЏ РІС‹СЃС‚СѓРїСЏС‚ 10-15 СѓС‡Р°СЃС‚РЅРёРєРѕРІ. РЎСѓРїРµСЂС„РёРЅР°Р» С‚РµРј Р¶Рµ РІРµС‡РµСЂРѕРј Р±СѓРґРµС‚ РІРєР»СЋС‡Р°С‚СЊ РІ СЃРµР±СЏ 3С… Р»СѓС‡С€РёС… РёСЃРїРѕР»РЅРёС‚РµР»РµР№ Рё С‚РѕР»СЊРєРѕ РіРѕР»РѕСЃРѕРІР°РЅРёРµ Р¶СЋСЂРё РѕРїСЂРµРґРµР»РёС‚ РїРѕР±РµРґРёС‚РµР»СЏ. 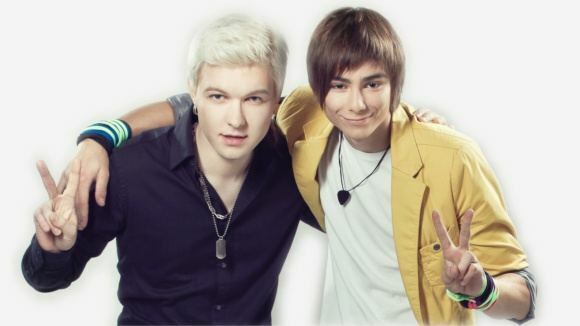 16/06 Lithuanian broadcaster LRT has confirmed participation in JESC 2011 issuing statement on it's website. National preselection will take place in September. РўРµР»РµРєРѕРјРїР°РЅРёСЏ Р›РёС‚РІС‹ Р›Р Рў РїРѕРґС‚РІРµСЂРґРёР»Р° СѓС‡Р°СЃС‚РёРµ РІ Р”РµС‚СЃРєРѕРј Р•РІСЂРѕРІРёРґРµРЅРёРё 2011 РѕРїСѓР±Р»РёРєРѕРІР°РІ Р·Р°СЏРІР»РµРЅРёРµ РЅР° СЃРІРѕРµРј СЃР°Р№С‚Рµ. РќР°С†РёРѕРЅР°Р»СЊРЅС‹Р№ РѕС‚Р±РѕСЂ РїСЂРѕР№РґРµС‚ РІ СЃРµРЅС‚СЏР±СЂРµ.